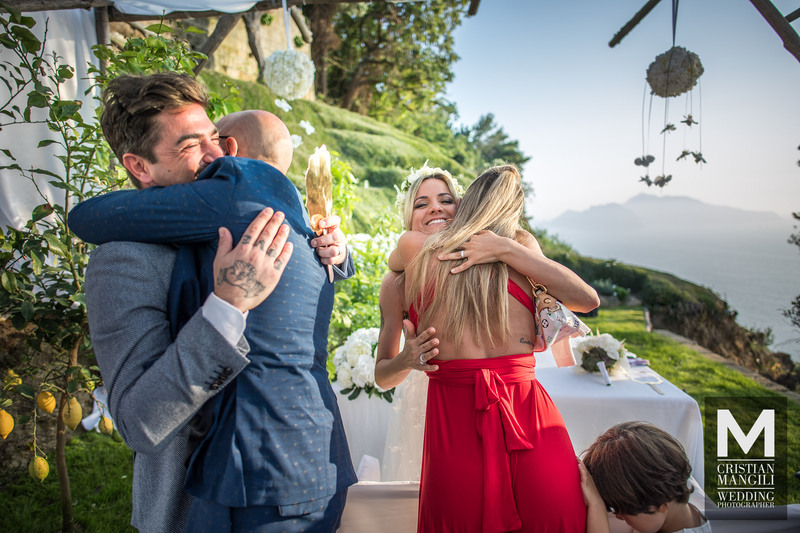 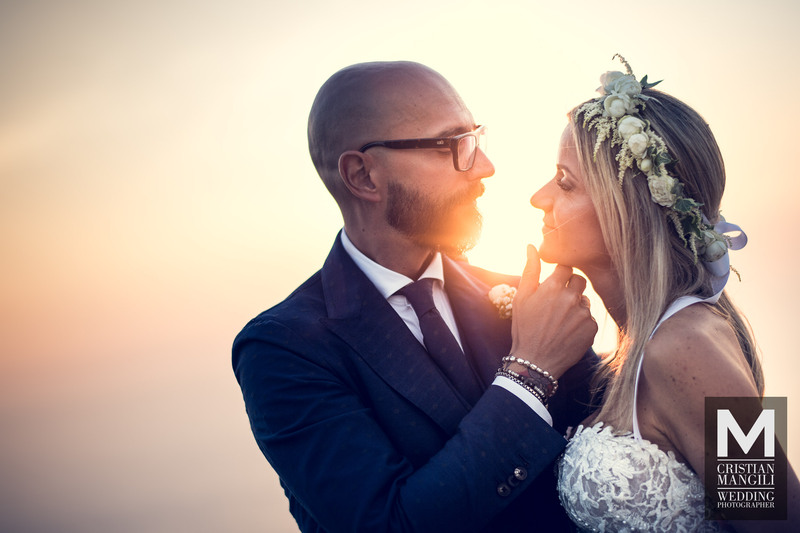 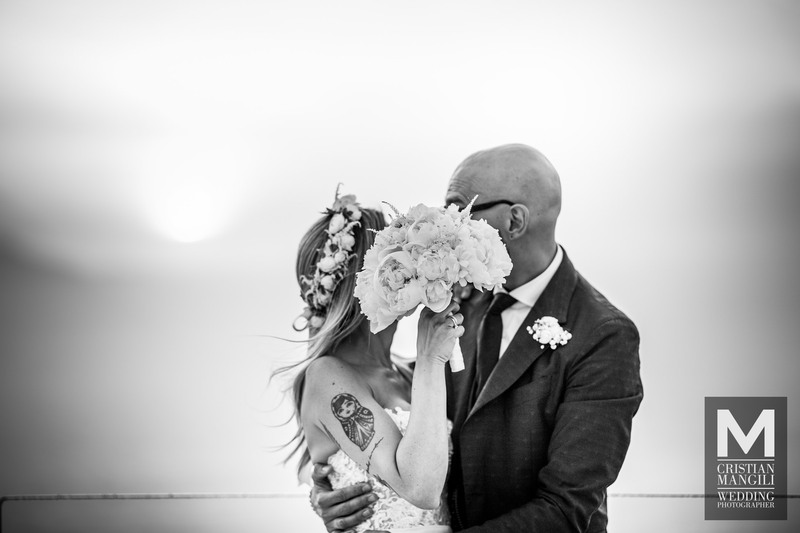 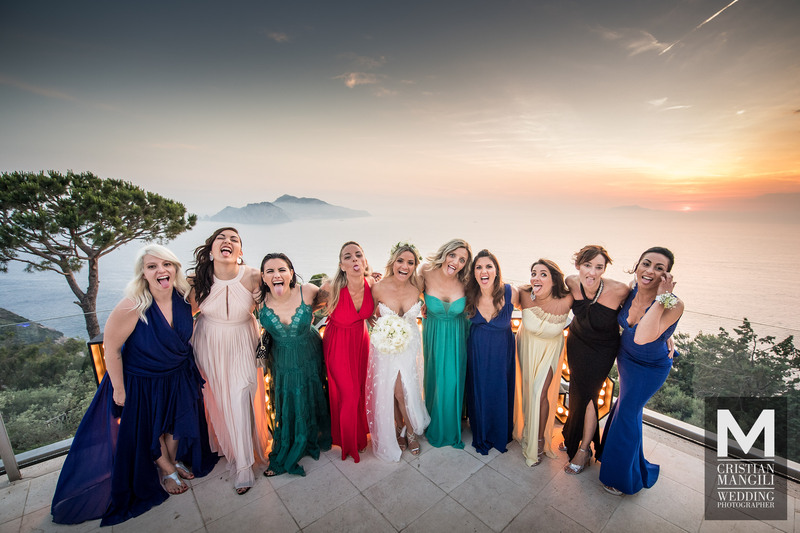 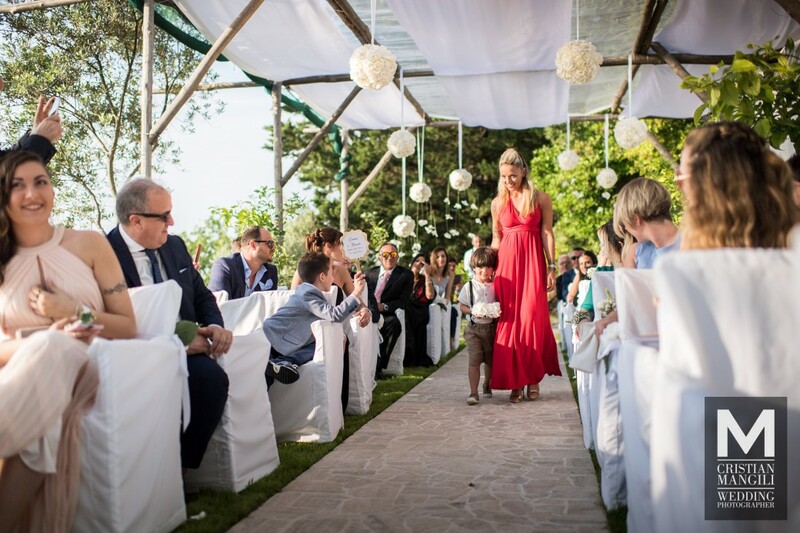 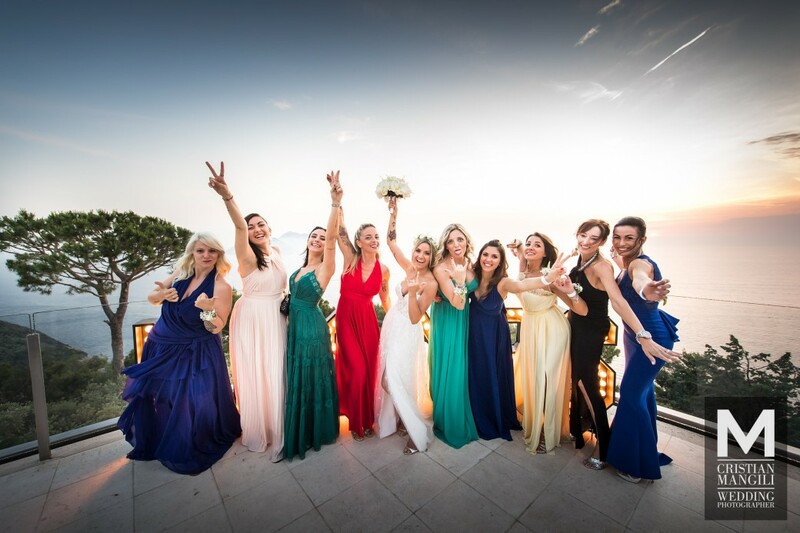 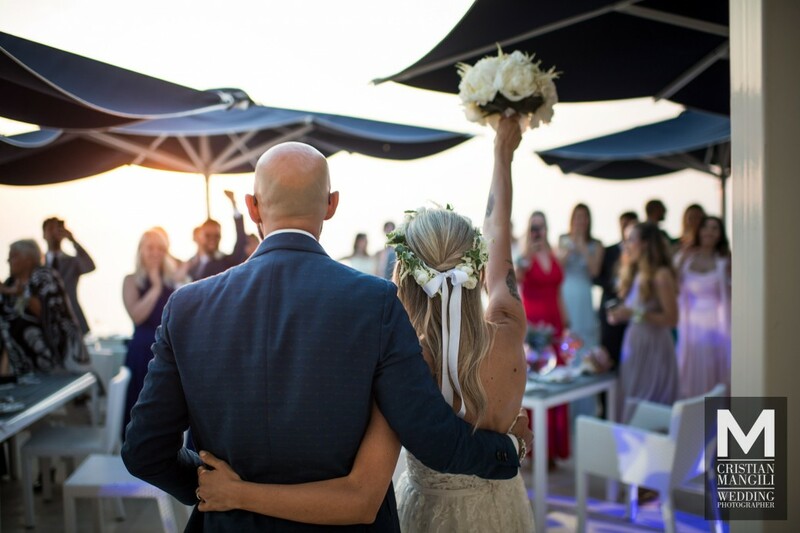 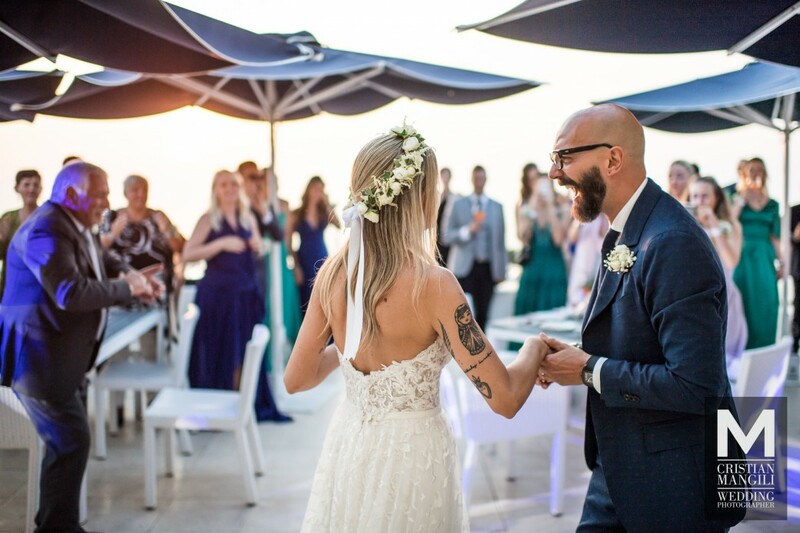 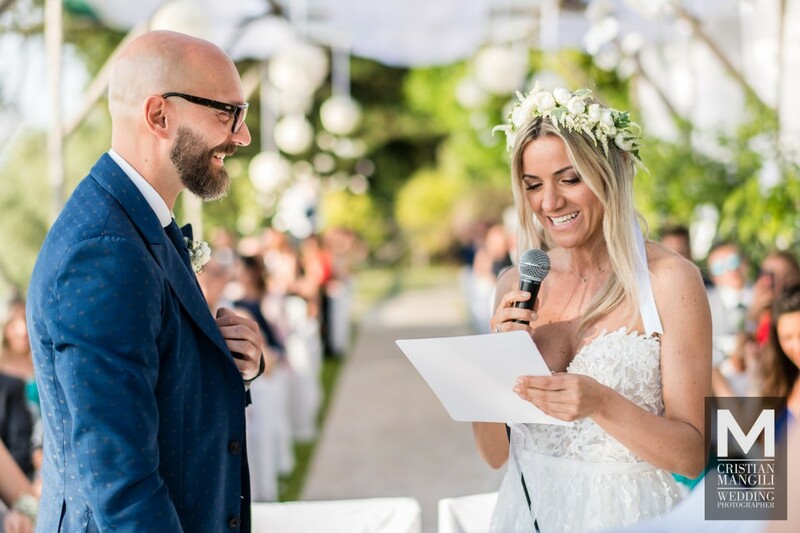 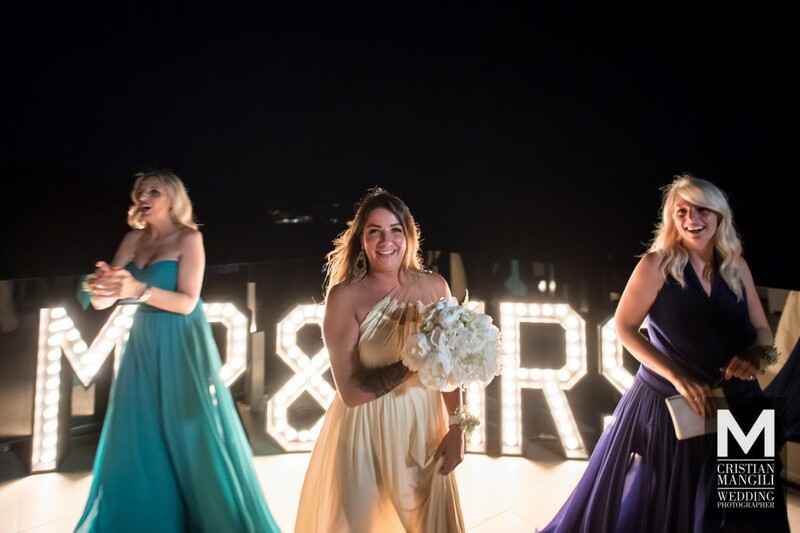 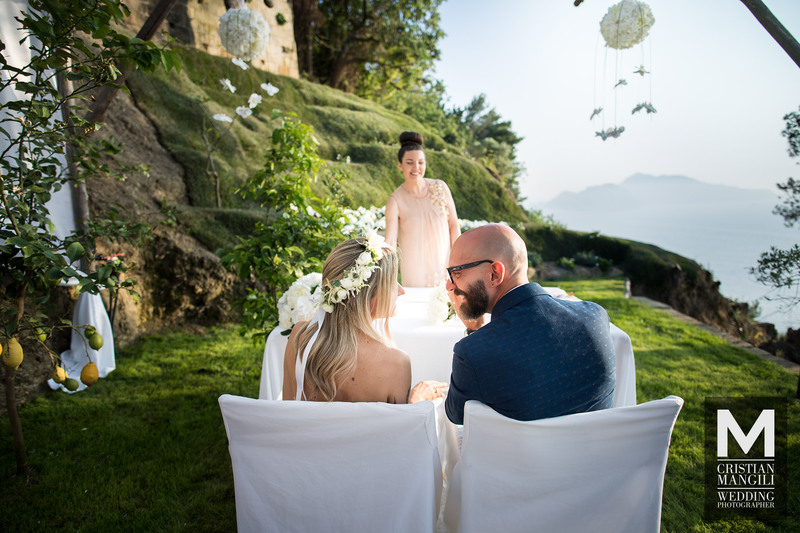 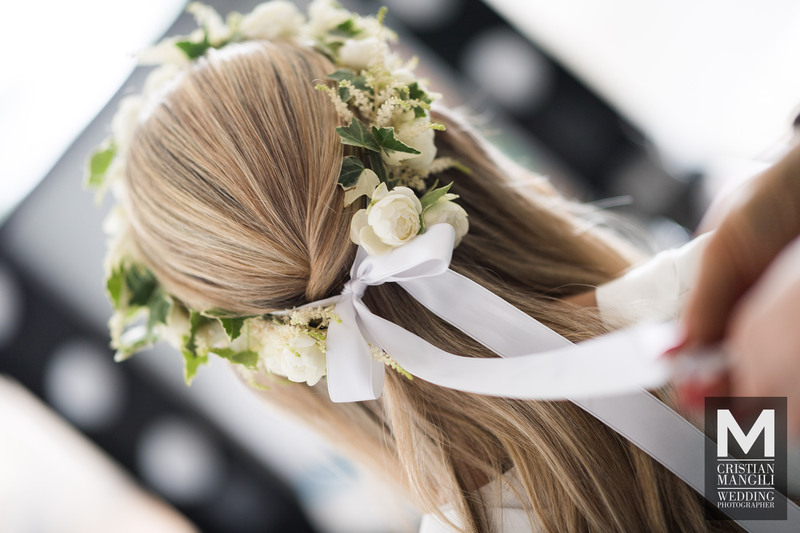 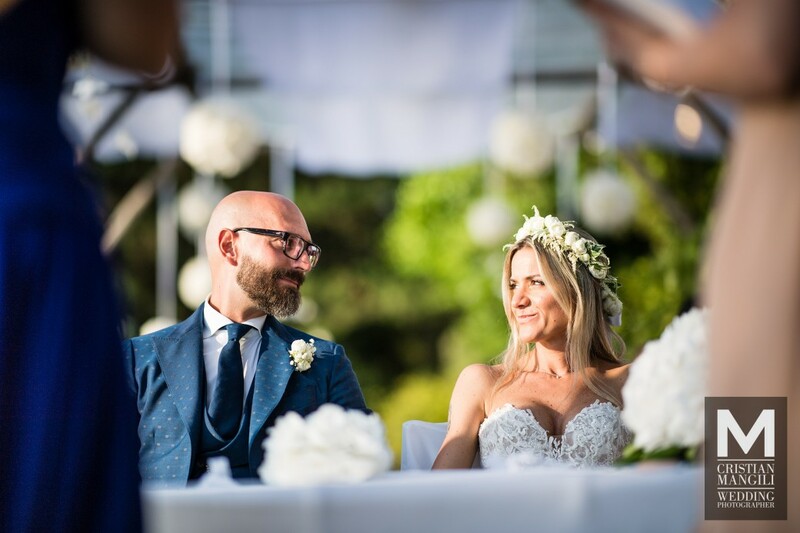 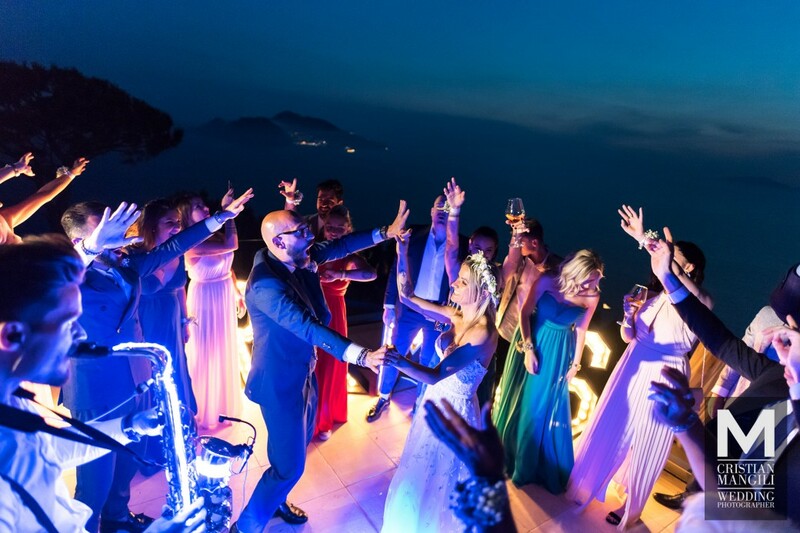 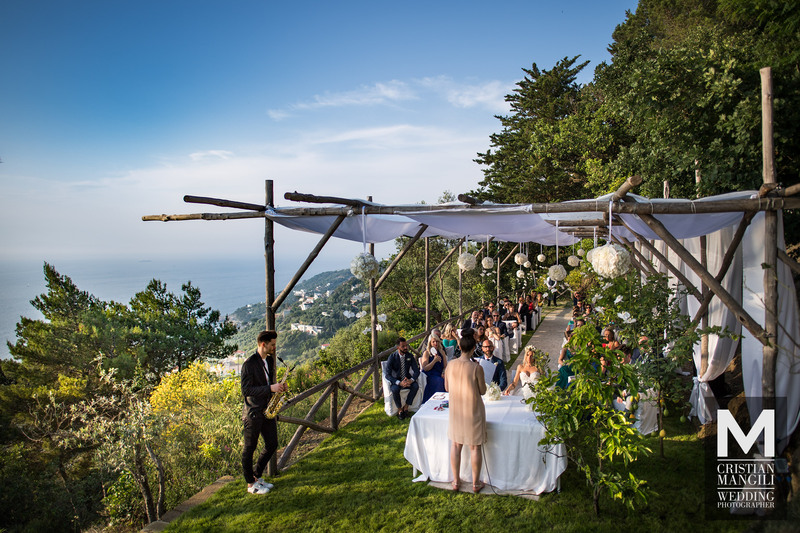 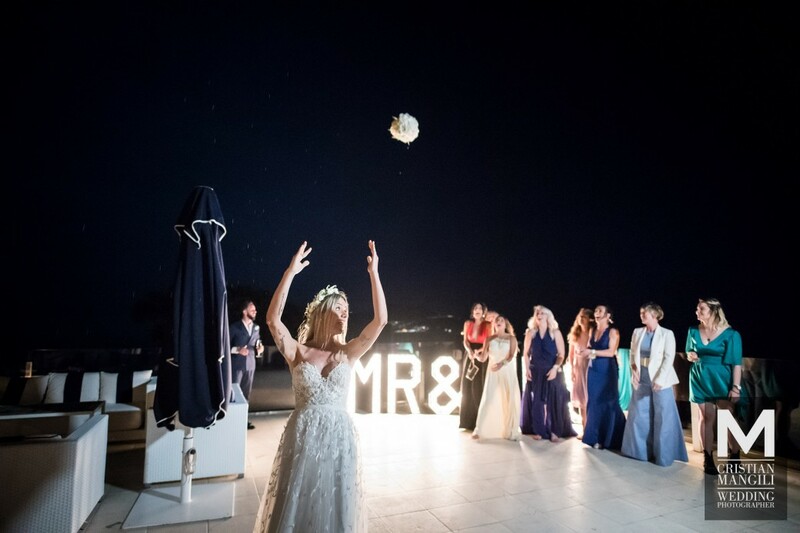 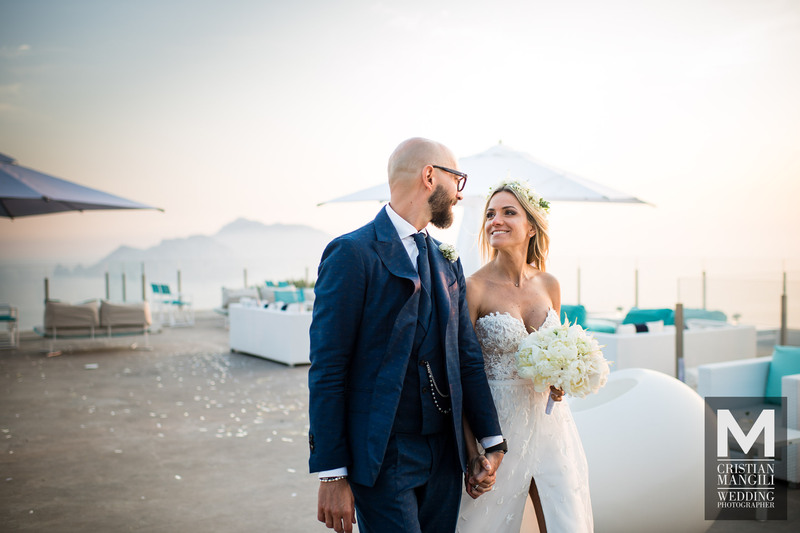 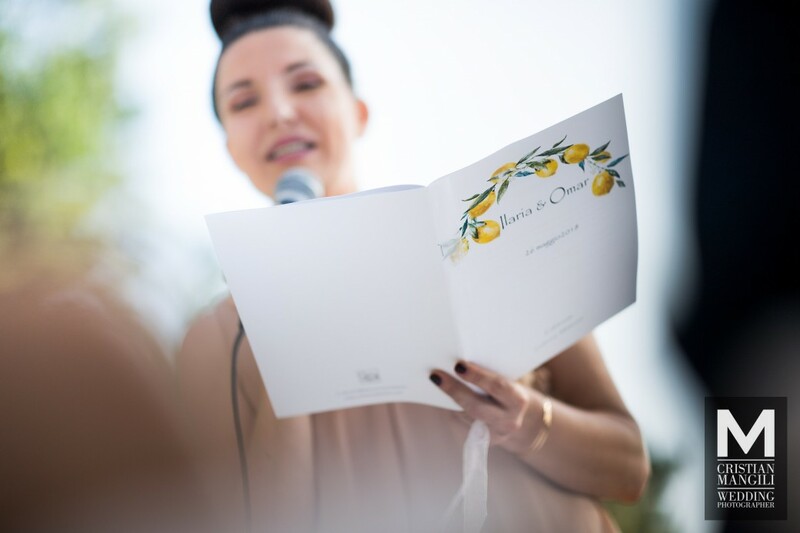 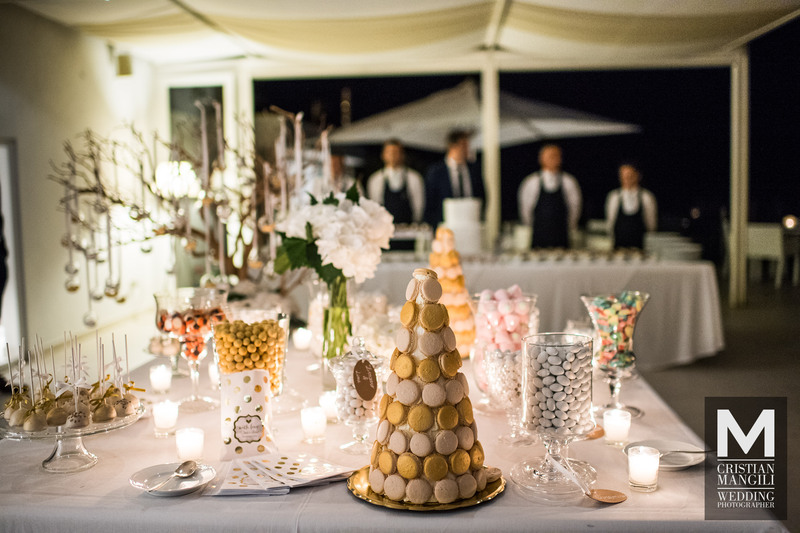 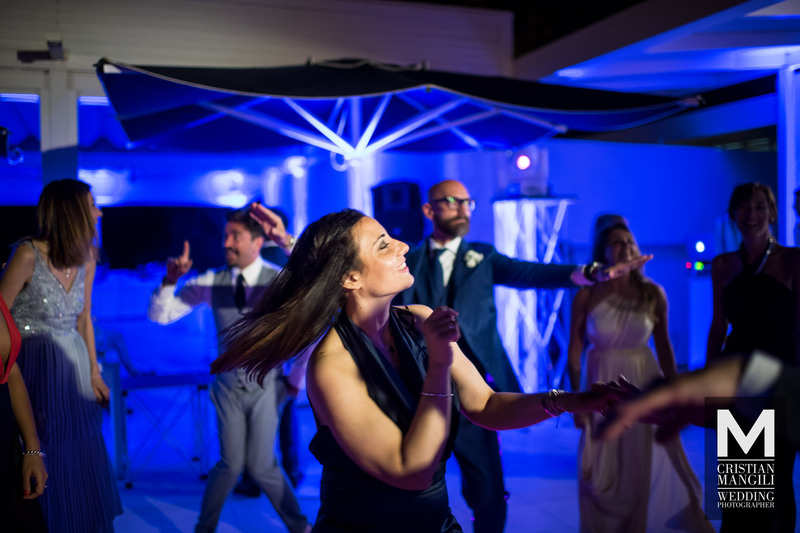 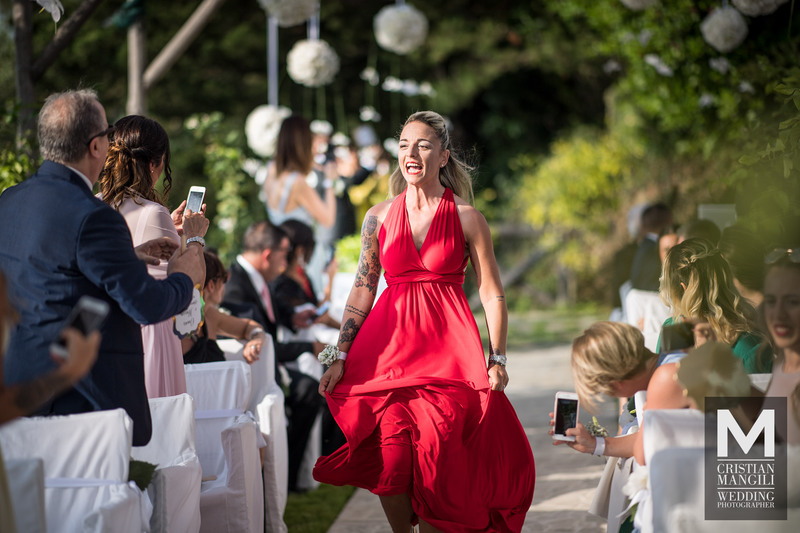 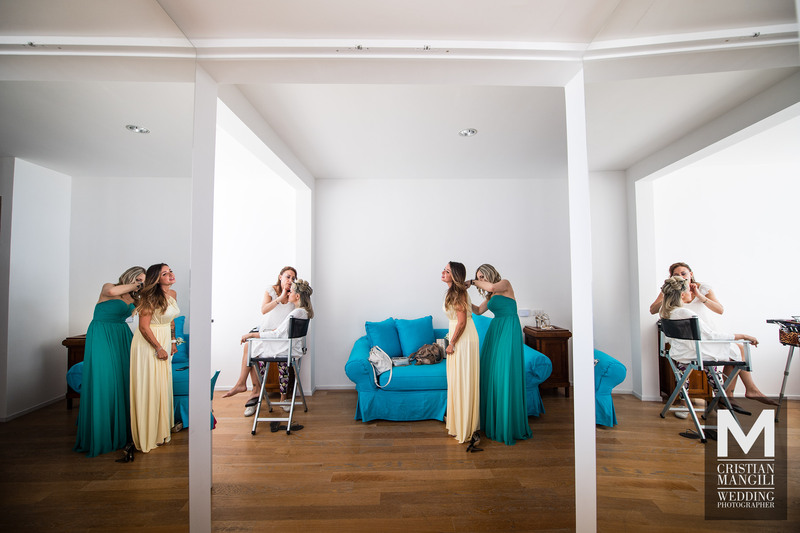 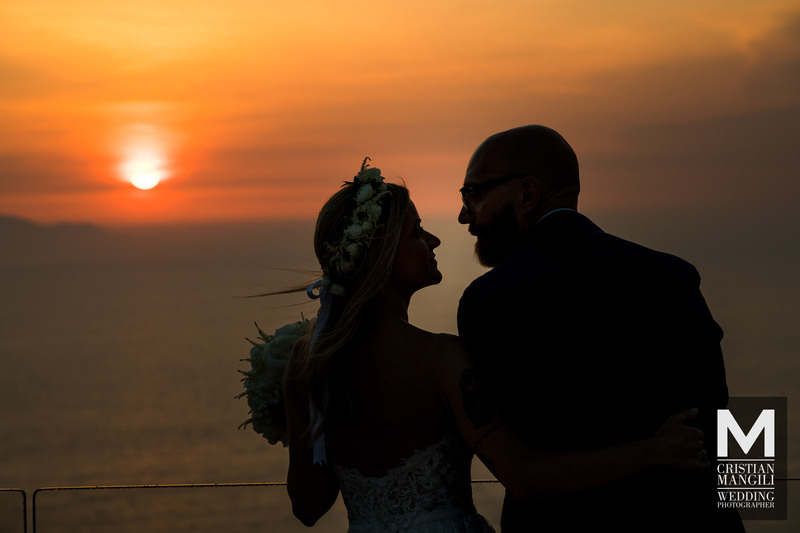 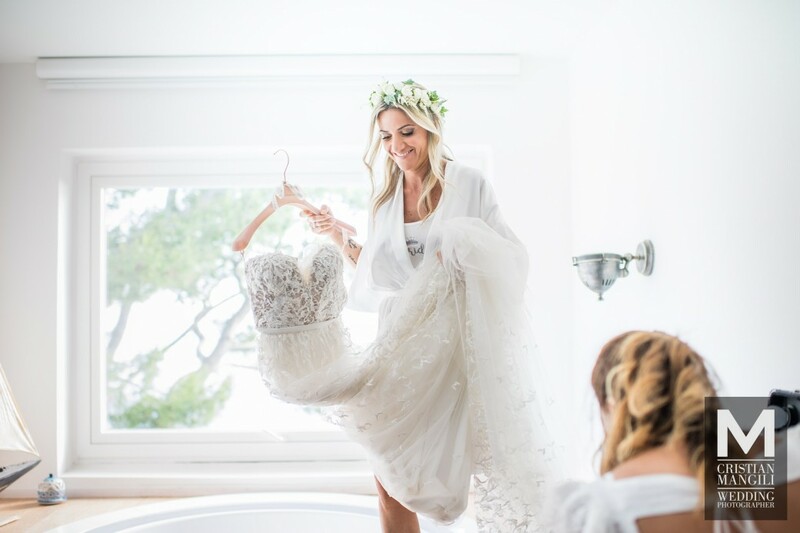 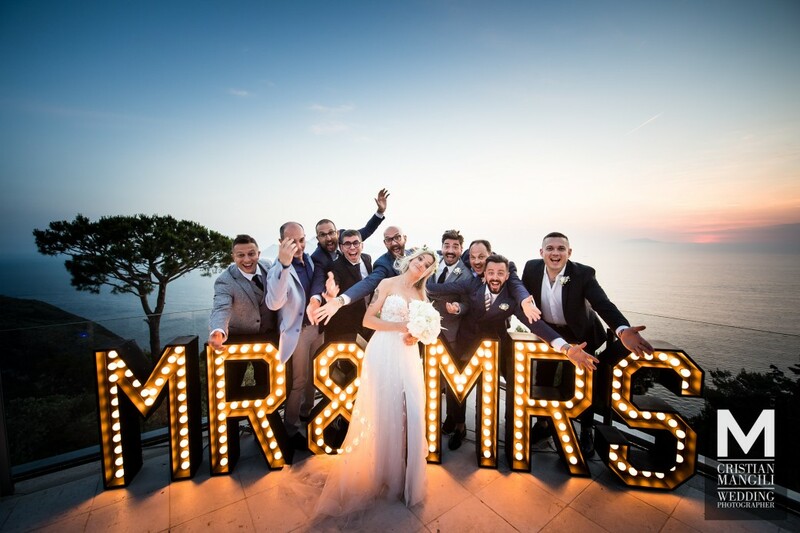 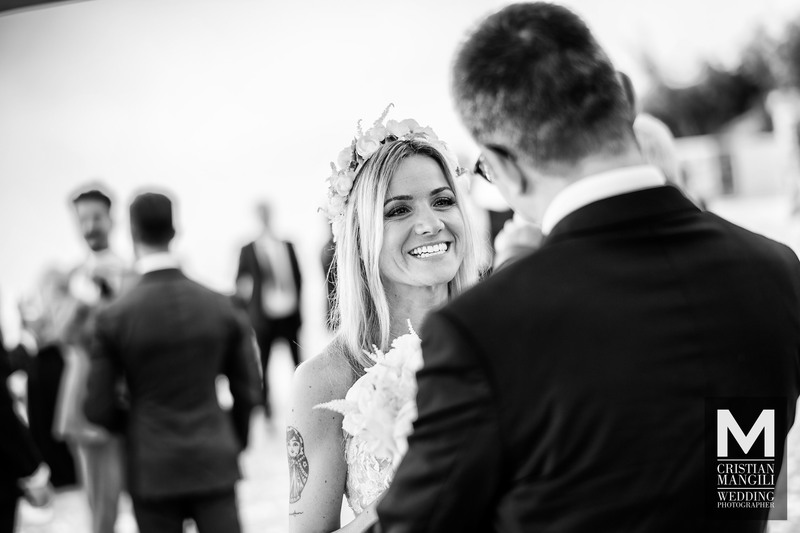 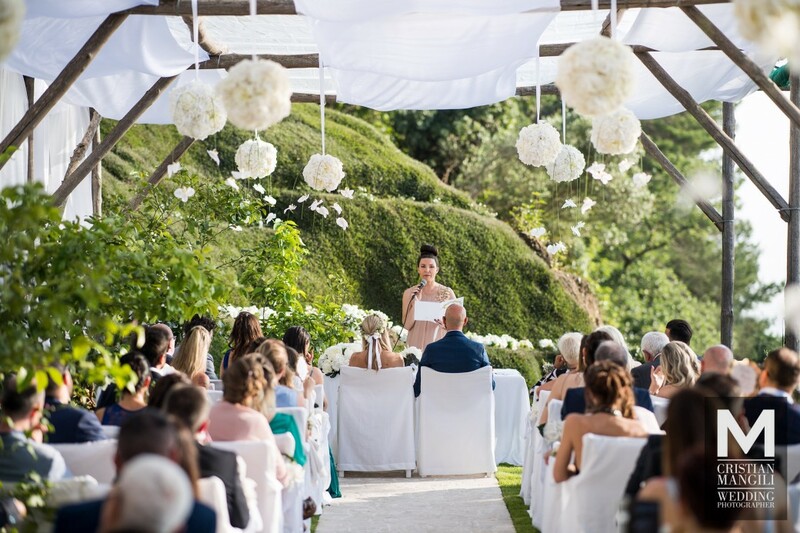 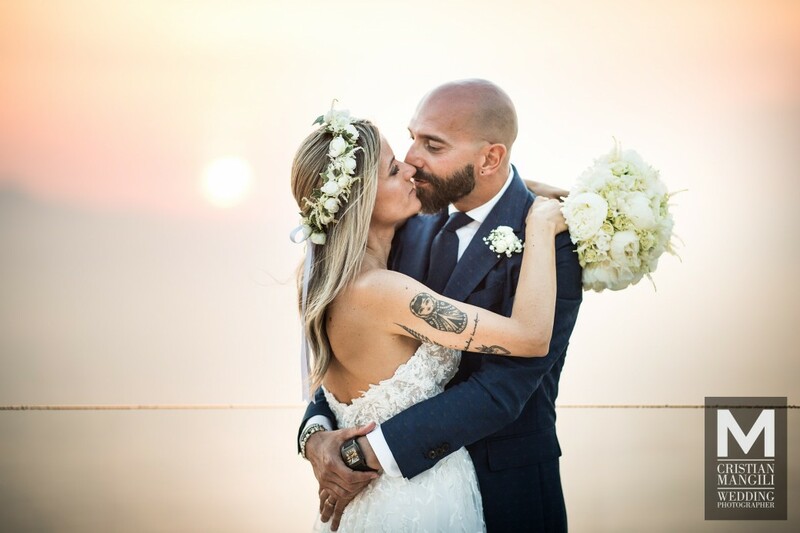 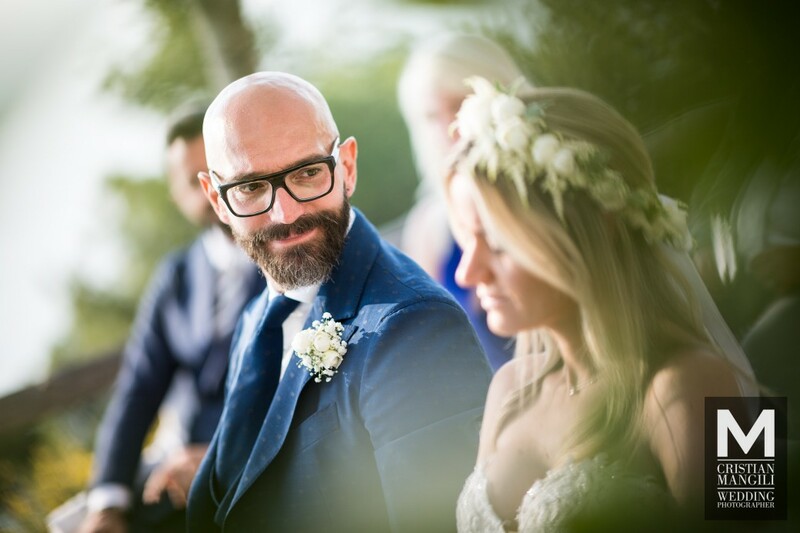 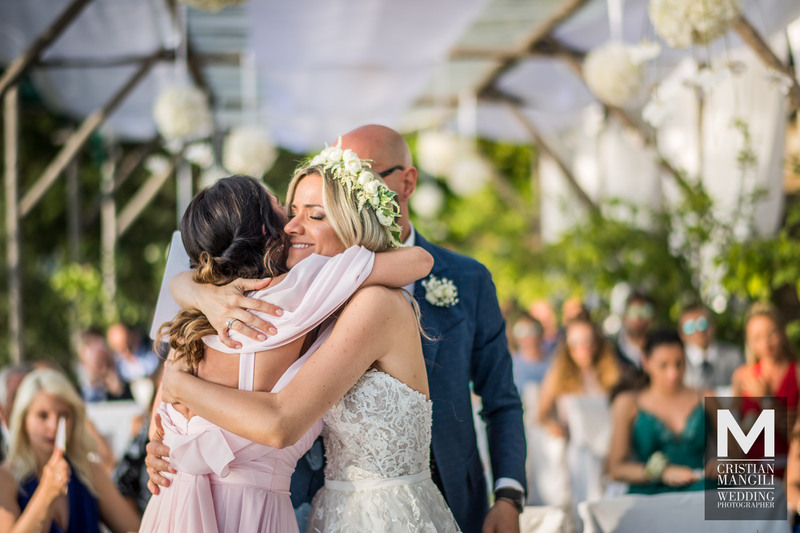 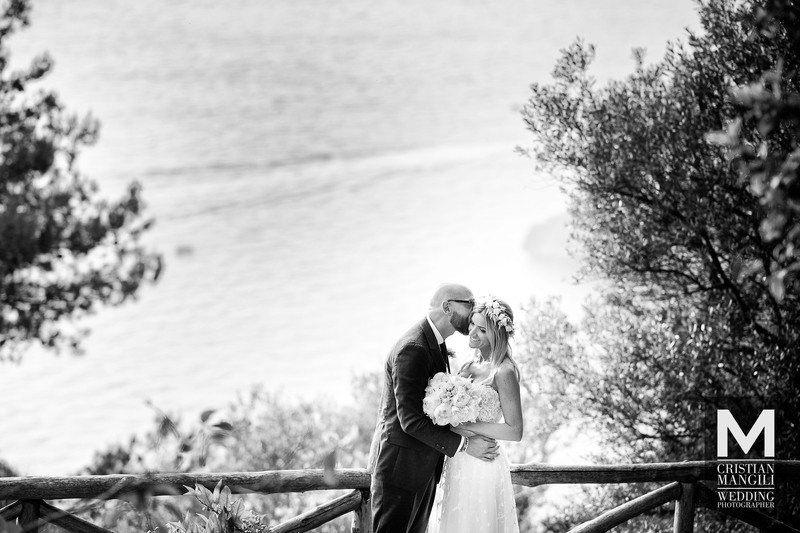 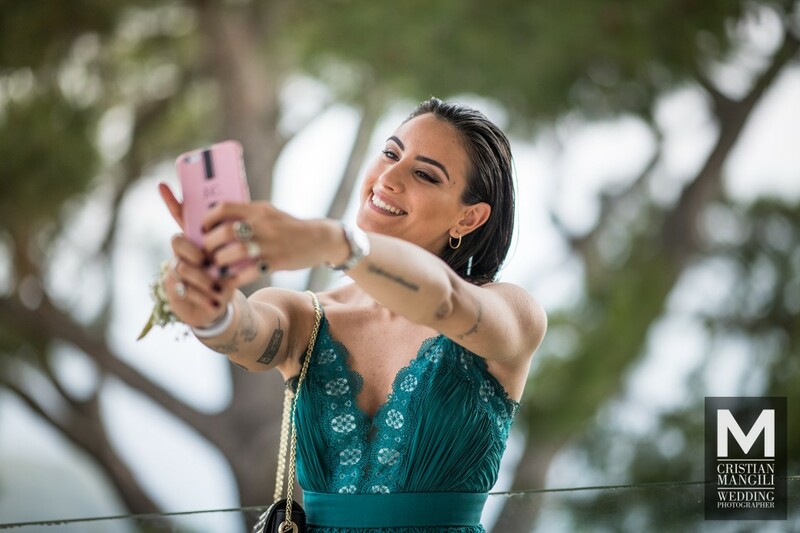 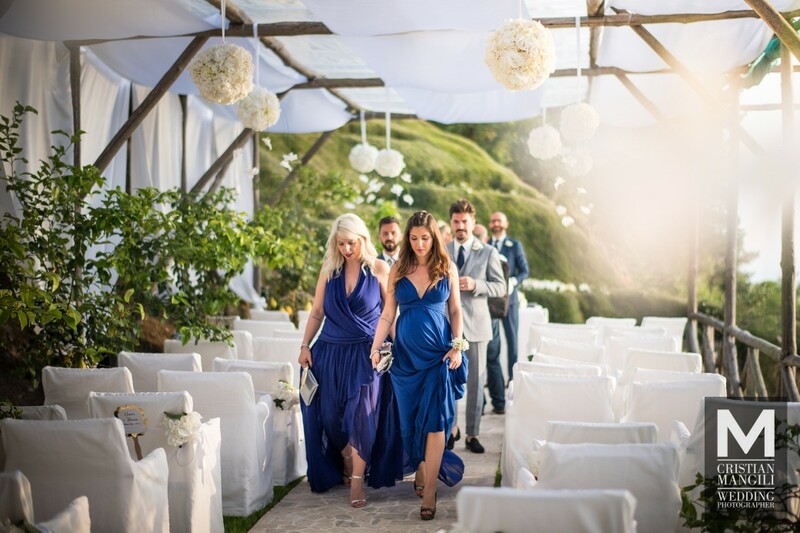 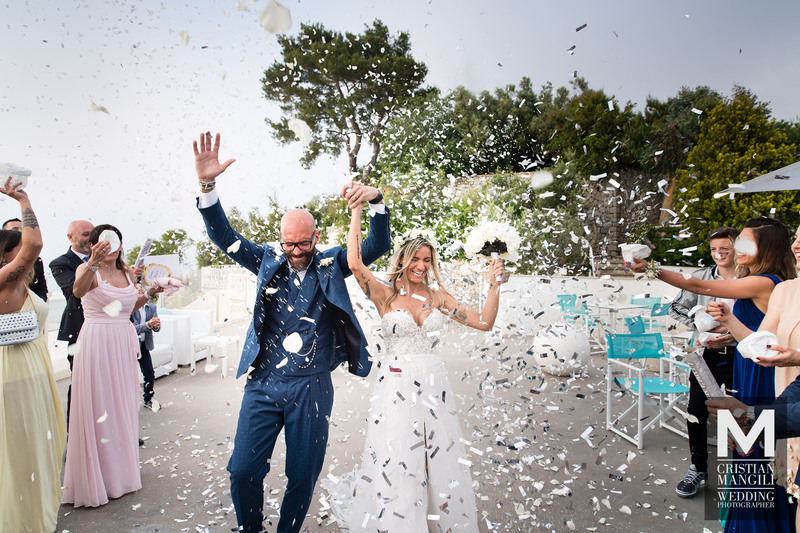 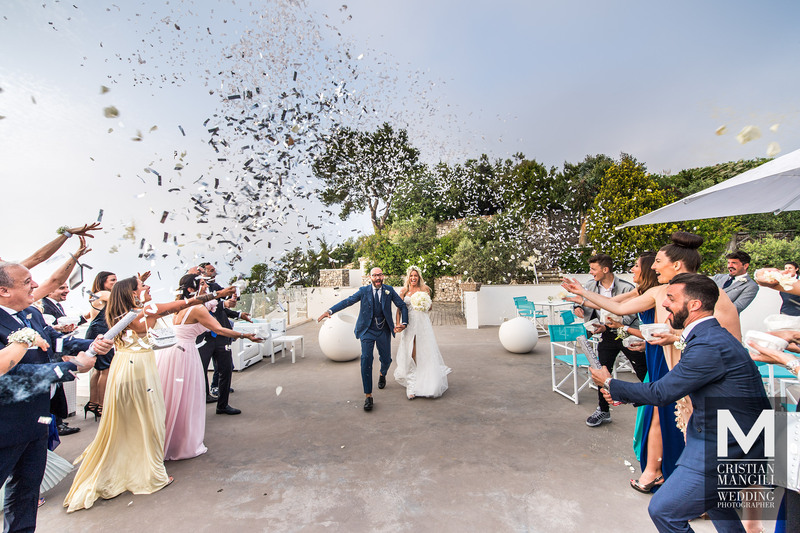 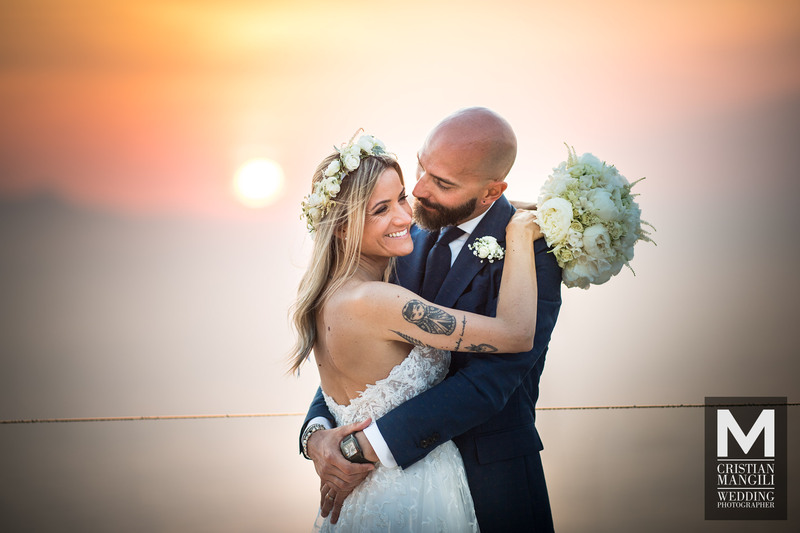 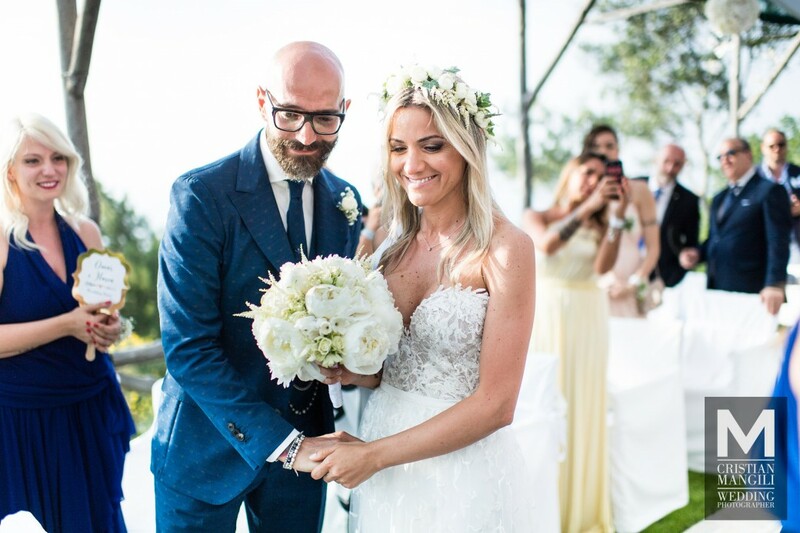 The perfect day of Ilaria and Omar: A wedding “outdoor” celebrated among the naturalistic masterpieces of the Amalfi Coast. 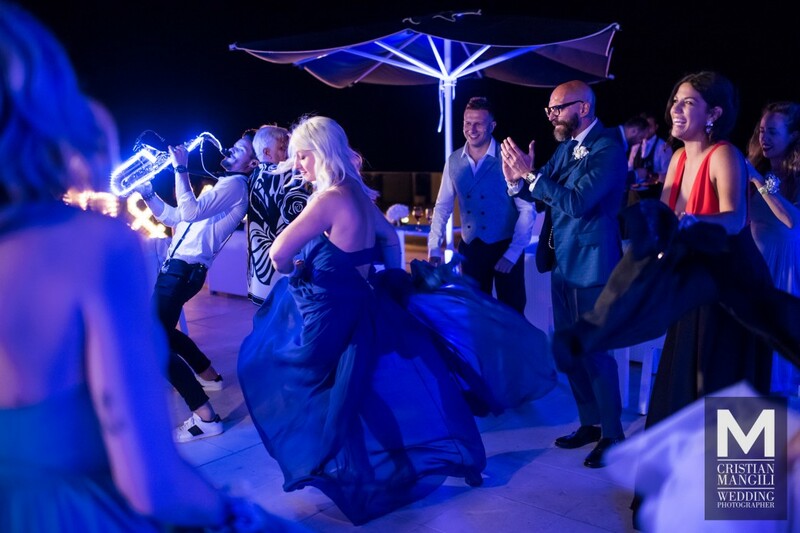 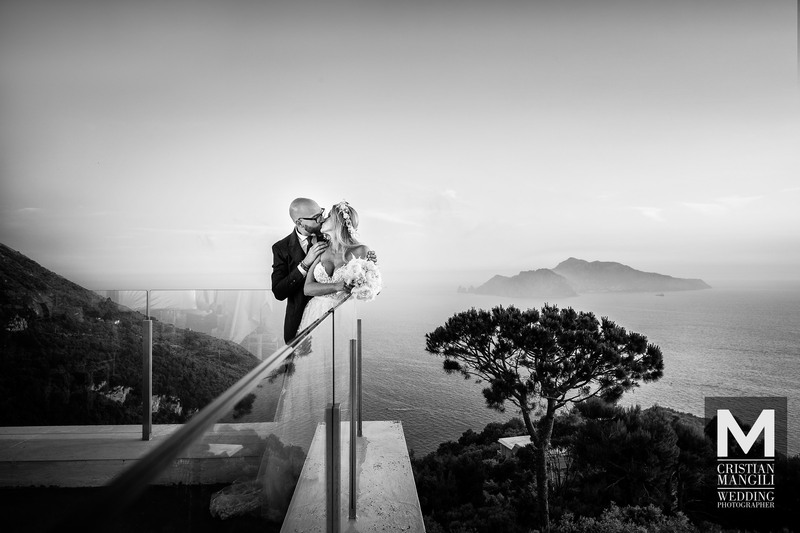 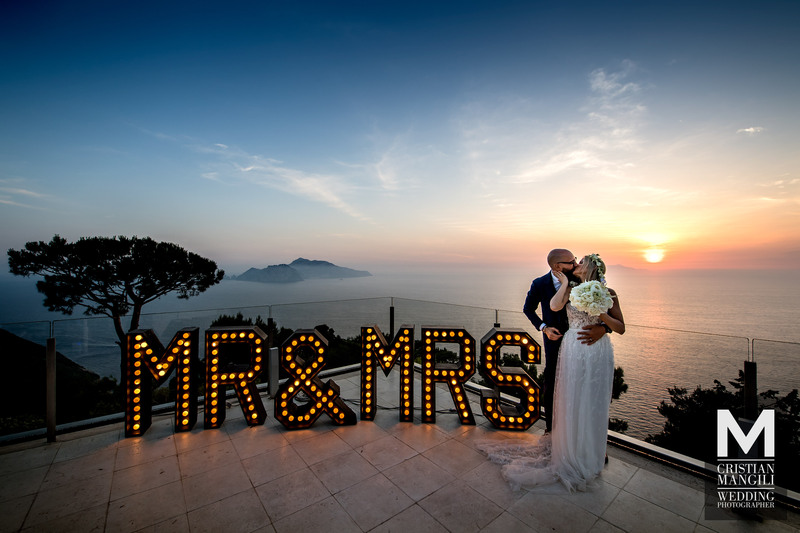 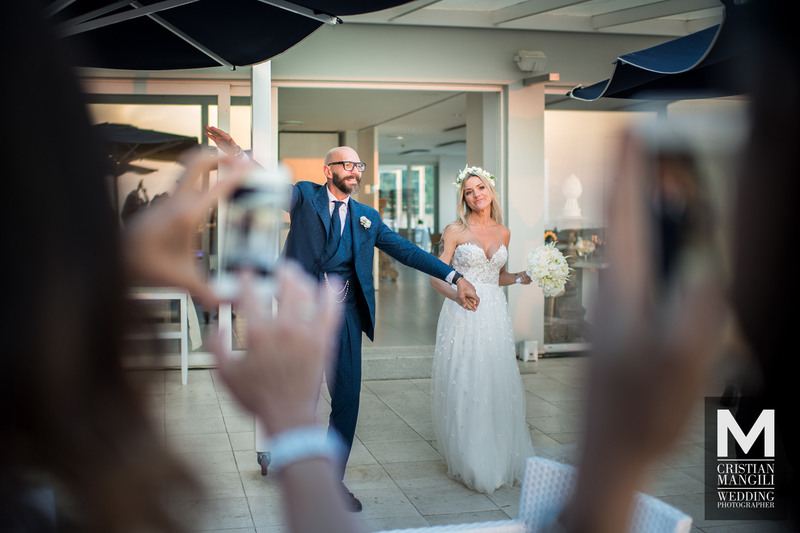 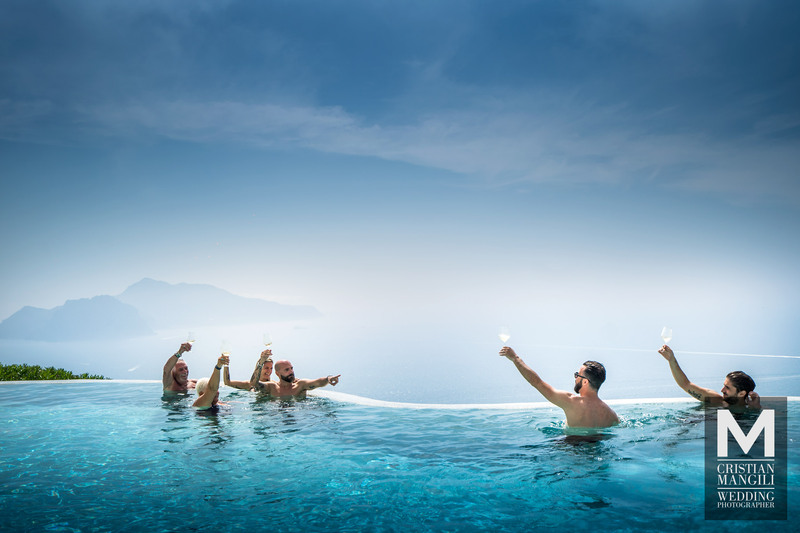 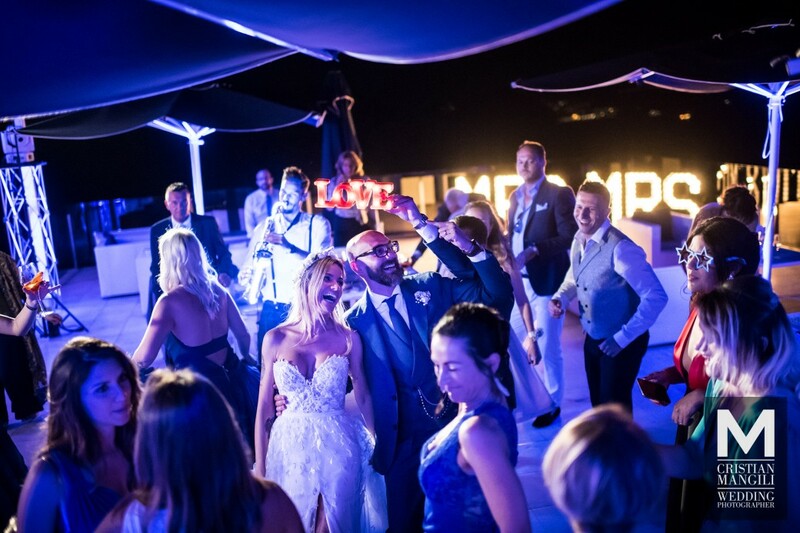 Our shooting begins in the early hours of Saturday afternoon, while Ilaria and Omar enjoy the view of Capri immersed in the terrace pool of the Relais Blu, the location chosen for the wedding. 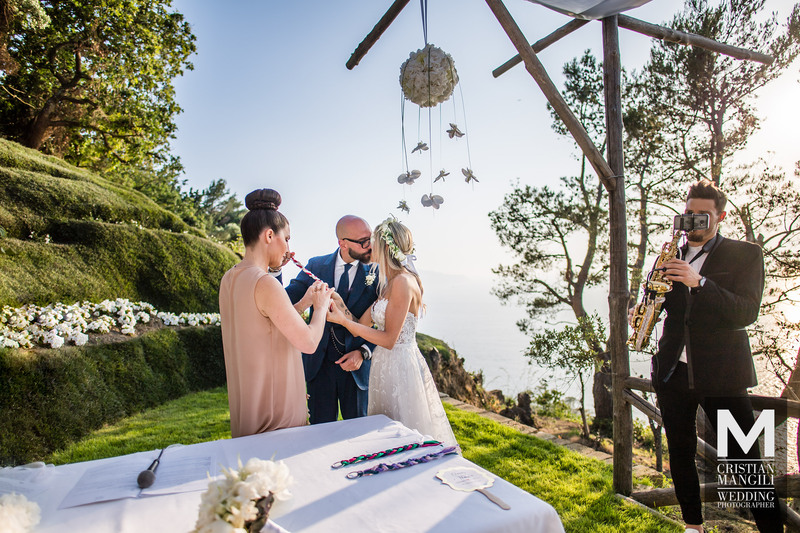 The civil ceremony is scheduled for 17.30: Everything is ready in the lemony overlooking the sea. 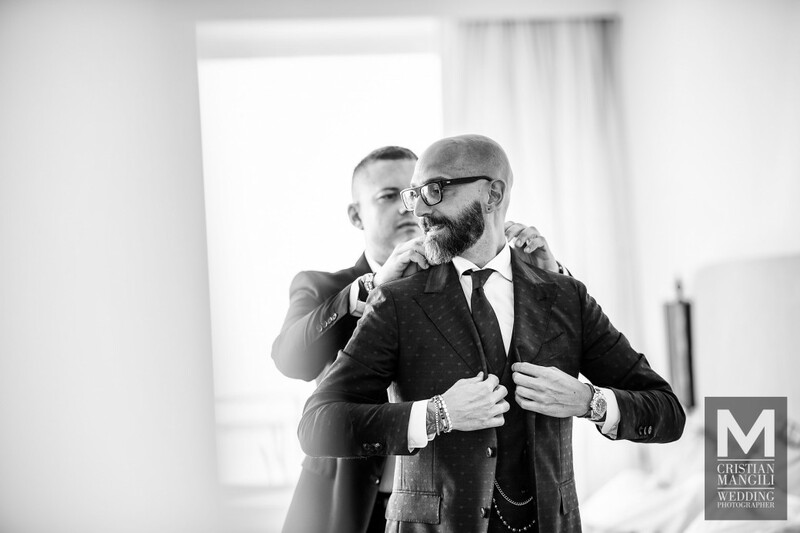 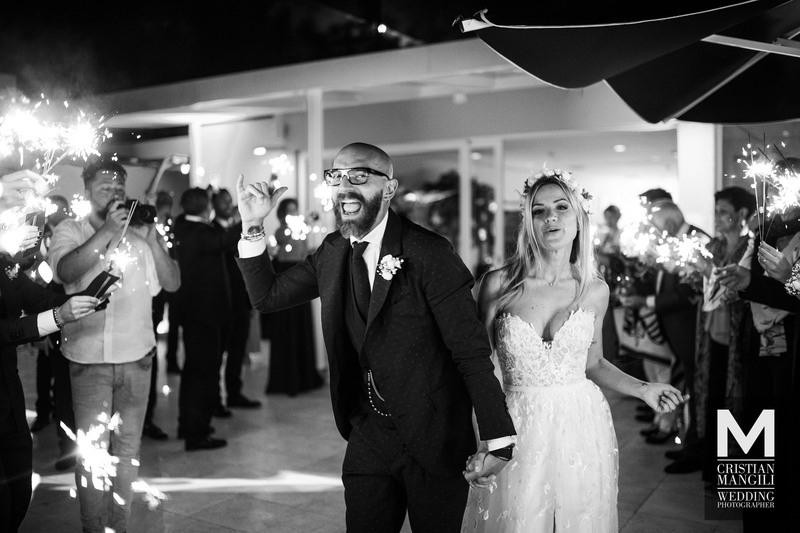 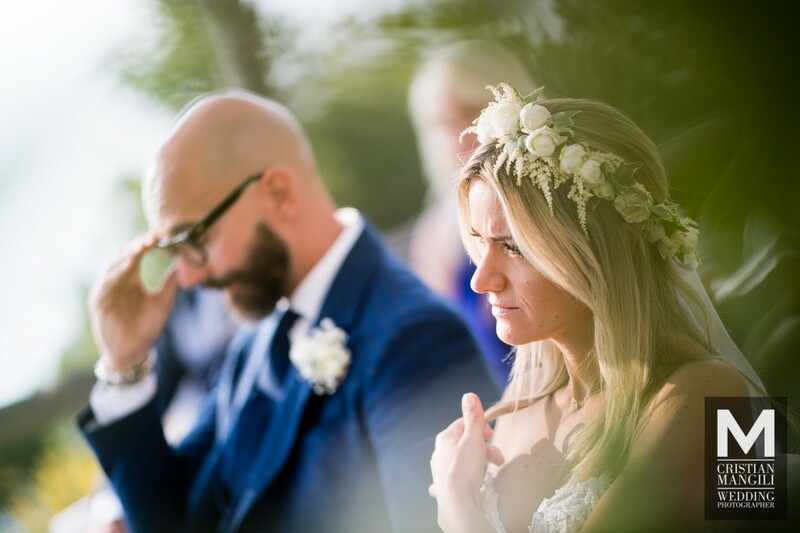 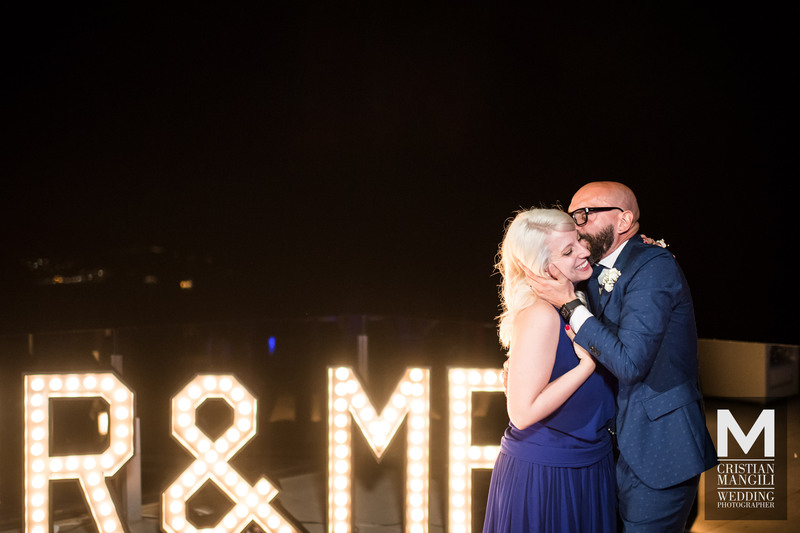 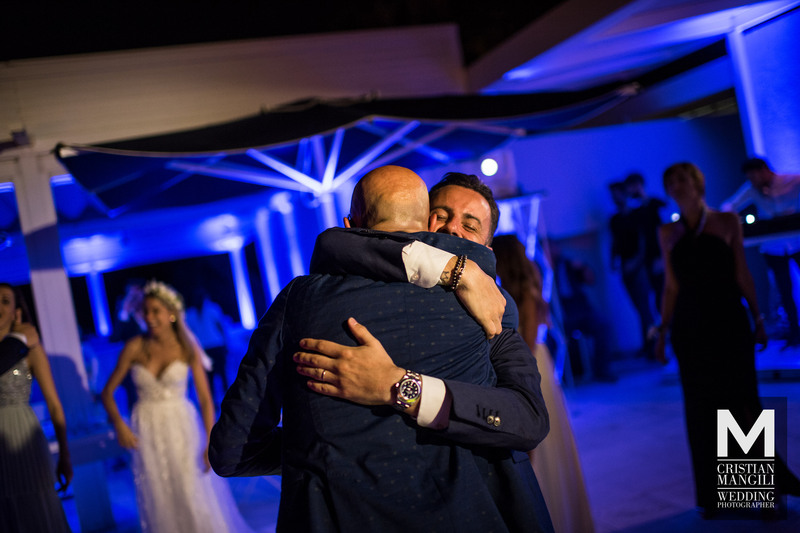 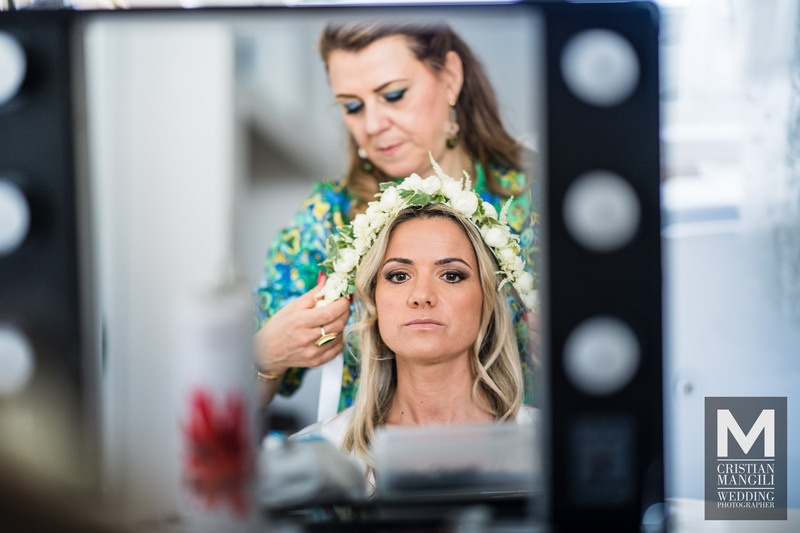 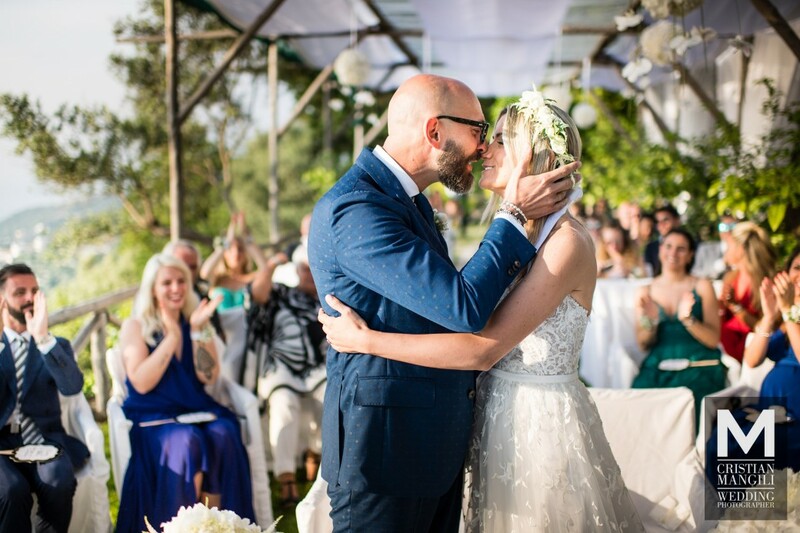 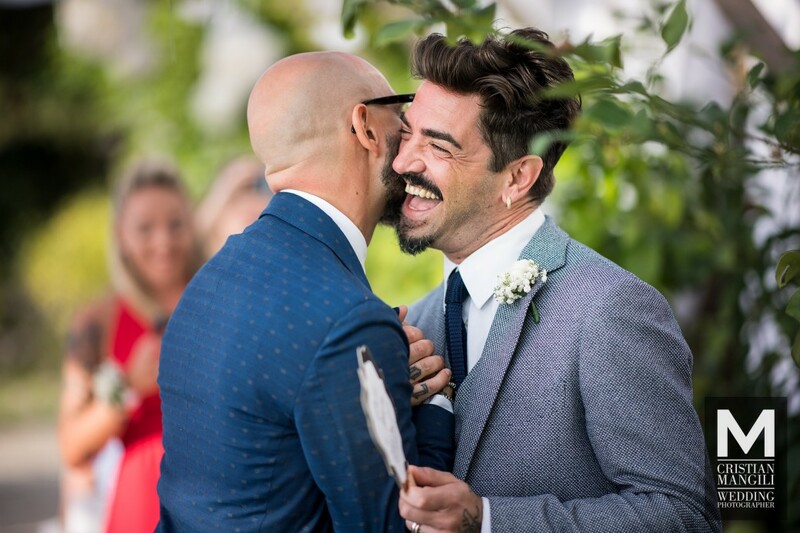 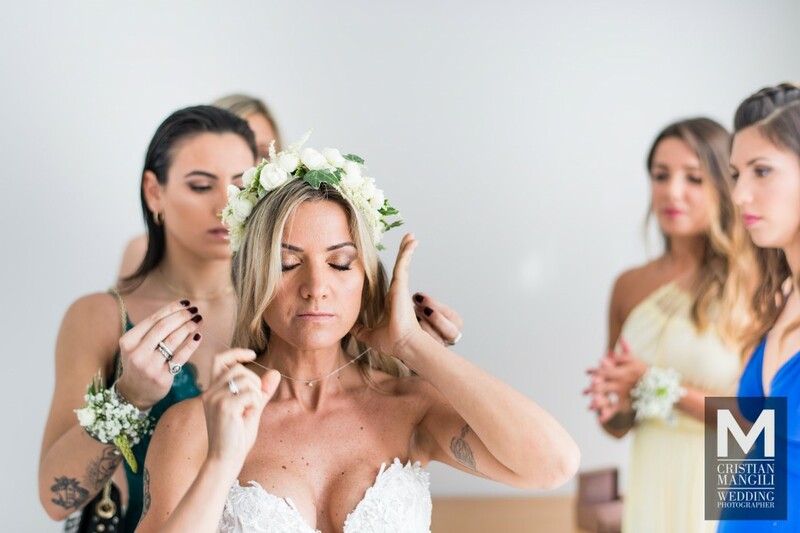 Preparations are long, but it’s worth the time spent; Omar is enchanted by the sight of Ilaria who reaches him to the altar. 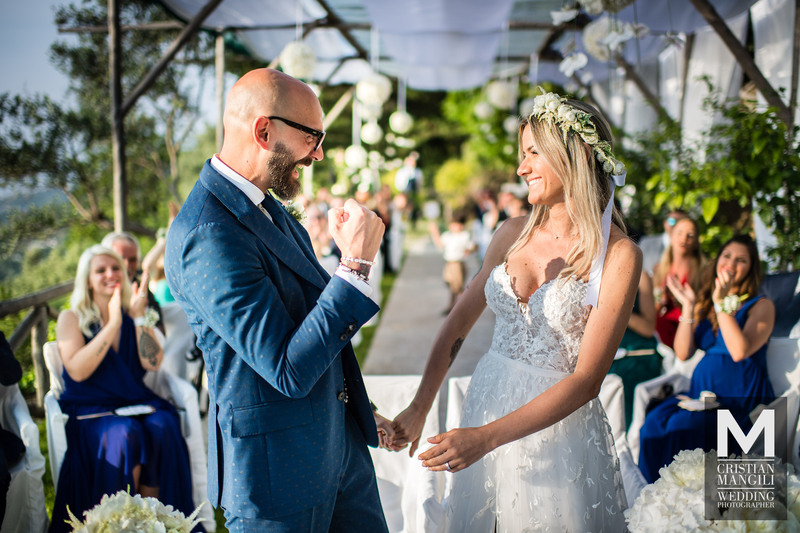 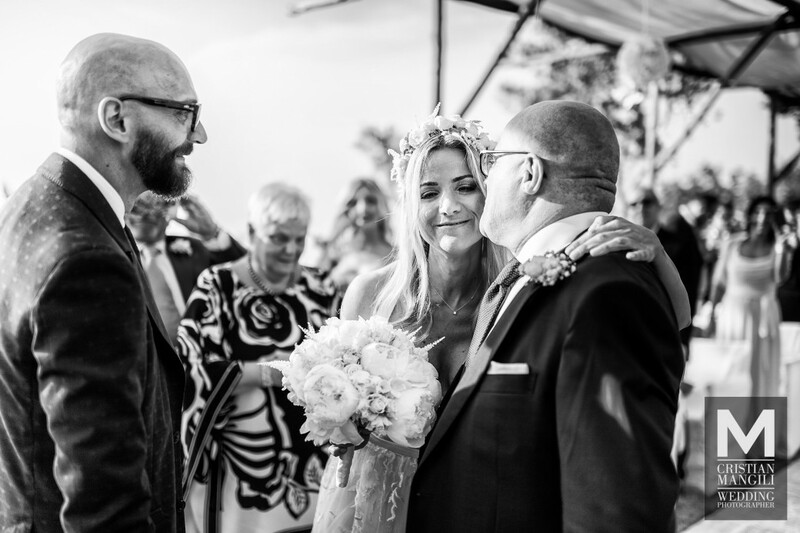 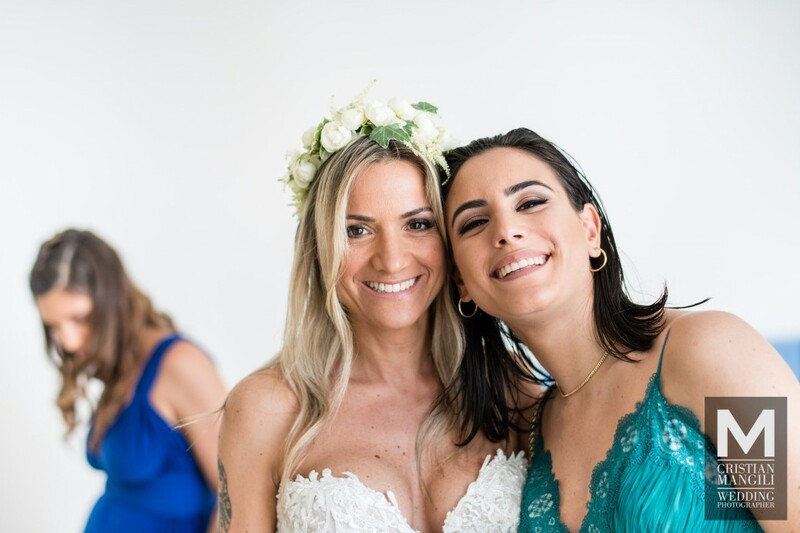 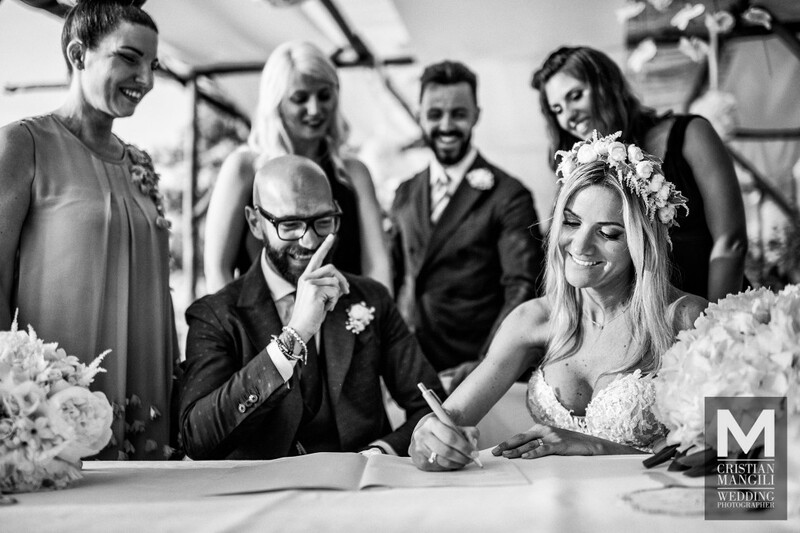 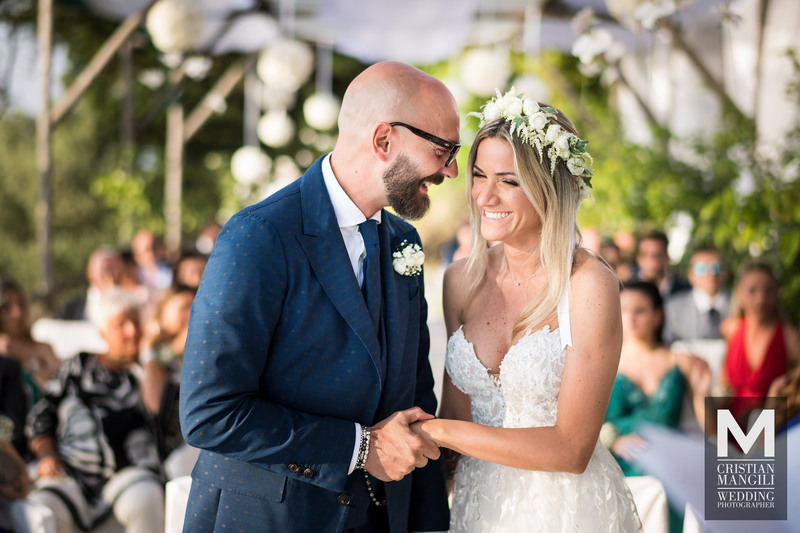 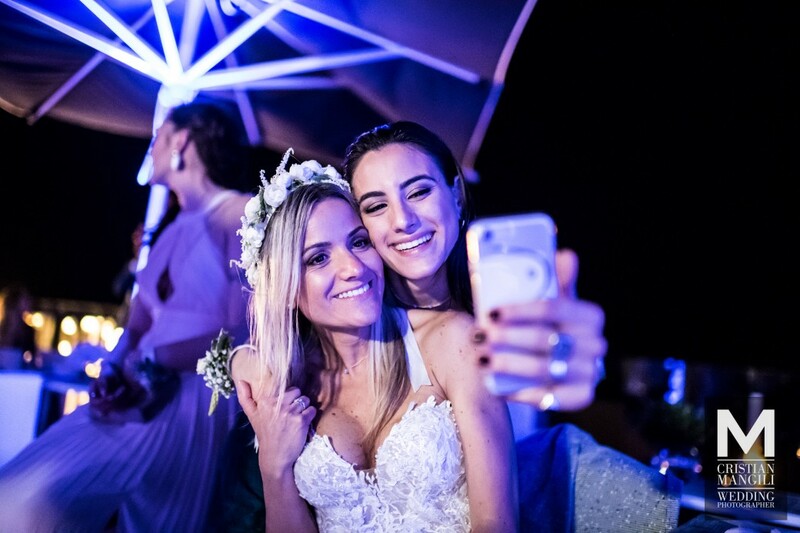 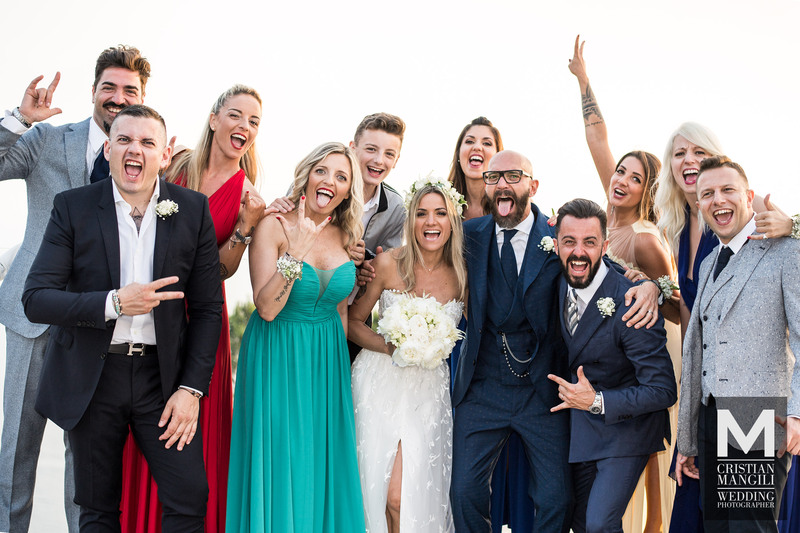 During the ceremony friends and relatives dedicate speeches to the newlyweds and the emotion rises to the stars… Finally the rings are exchanged and Ilaria and Omar are finally wife and husband. 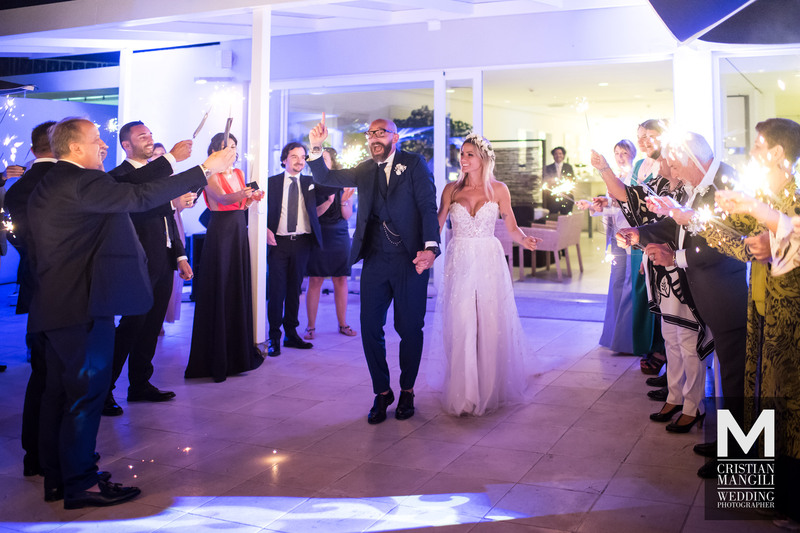 We follow them as they go up the steps that take them to the reception: then it’s time for a party that will continue until late night. 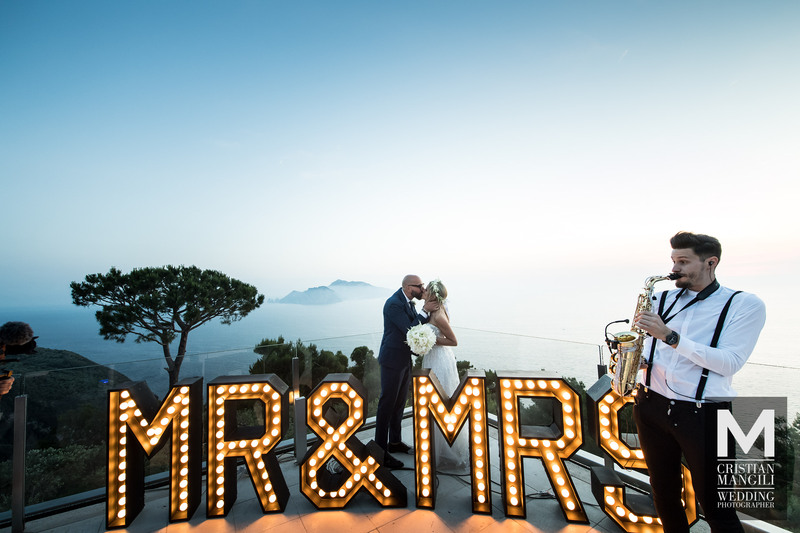 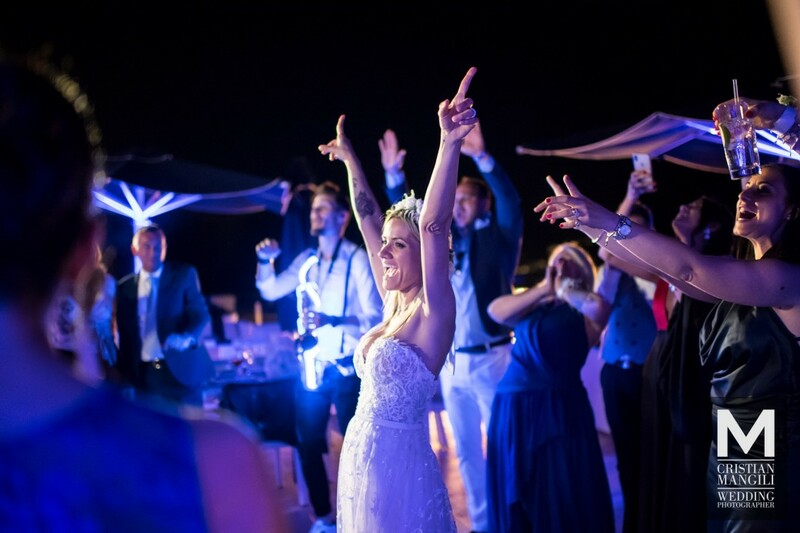 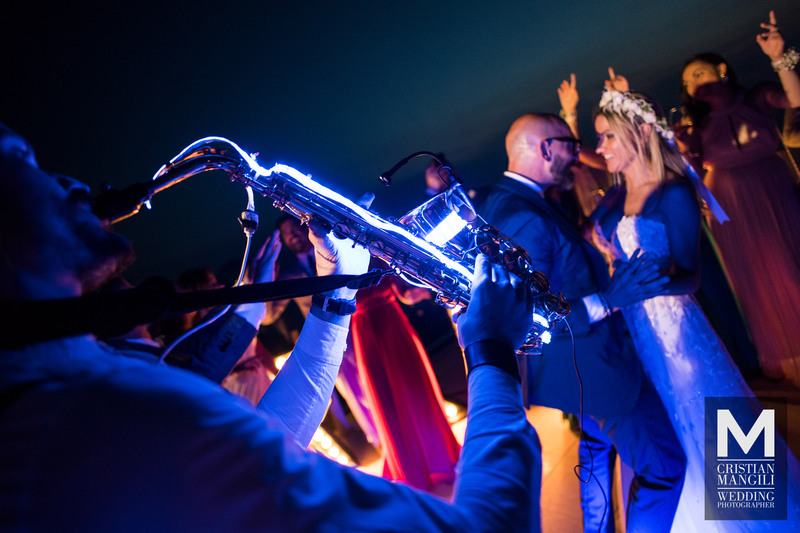 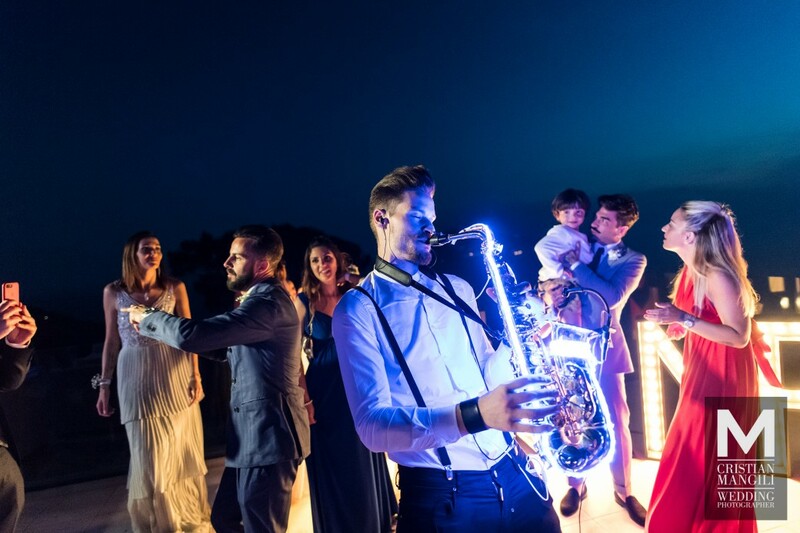 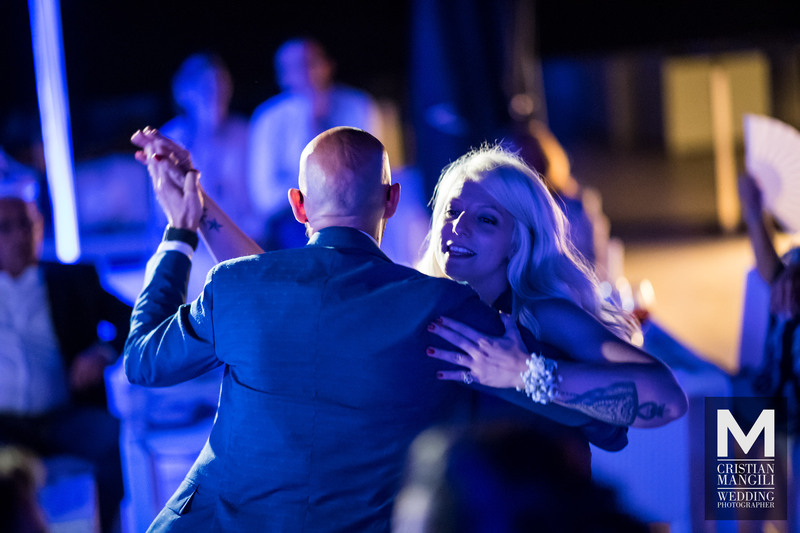 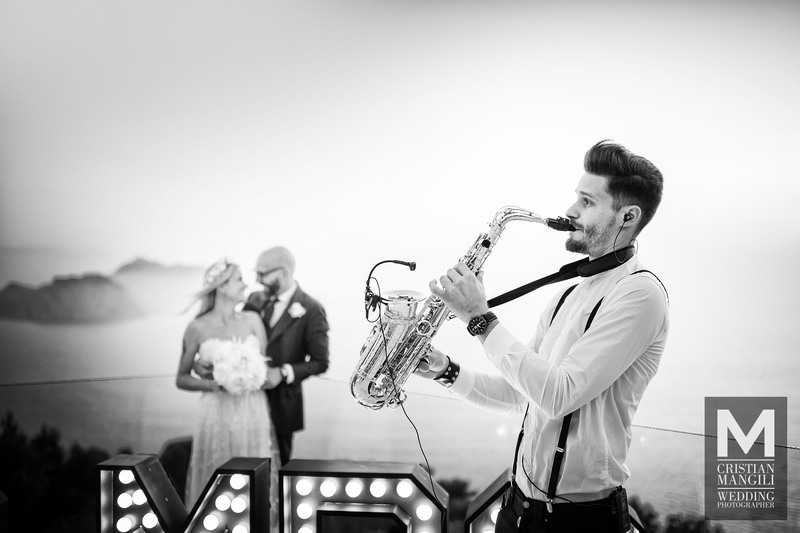 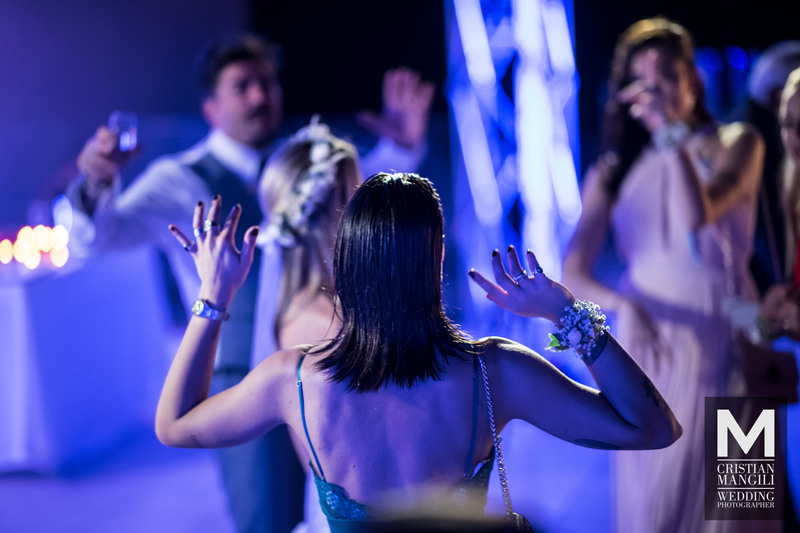 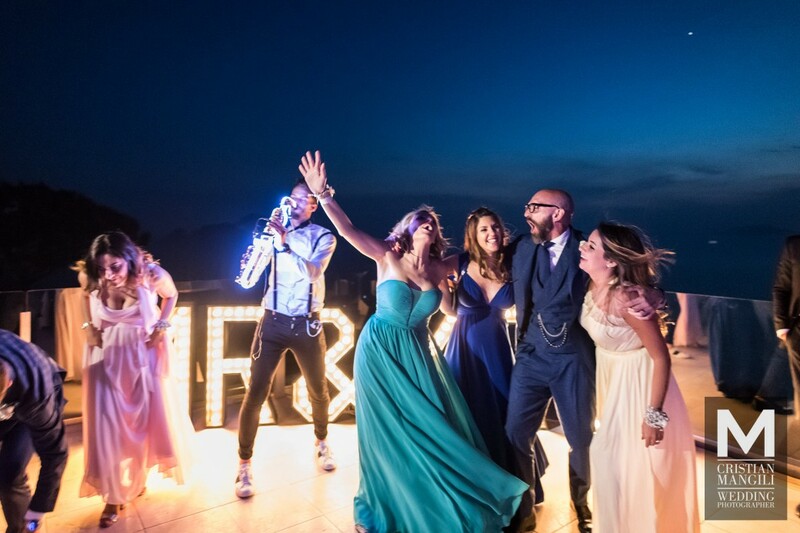 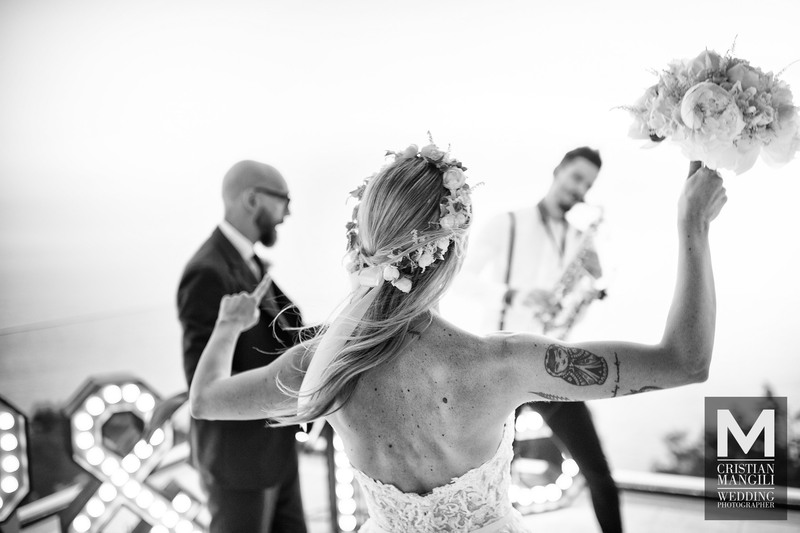 They eat, drink and dance in a magical atmosphere, on the notes of dance masterpieces skillfully played by a brilliant saxofonist and impeccable DJ. 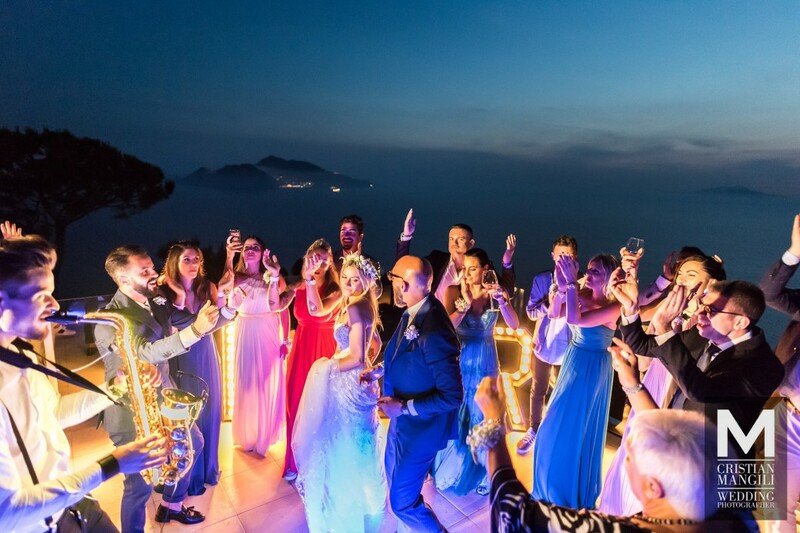 It went down the night, and we close the day with the bouquet launch and a kindly offered cigar. 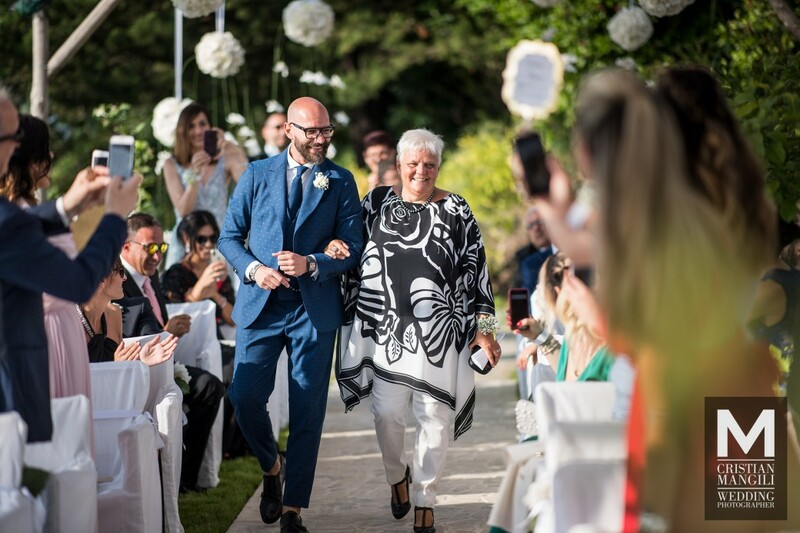 A long journey that has made us travel almost the whole of Italy, but without ever giving up a moment, motivated by what we could and, hopefully, been able to do. 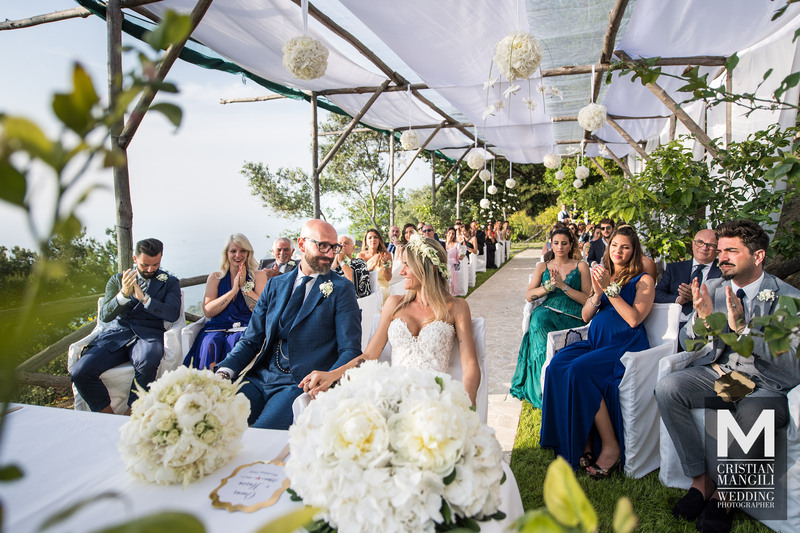 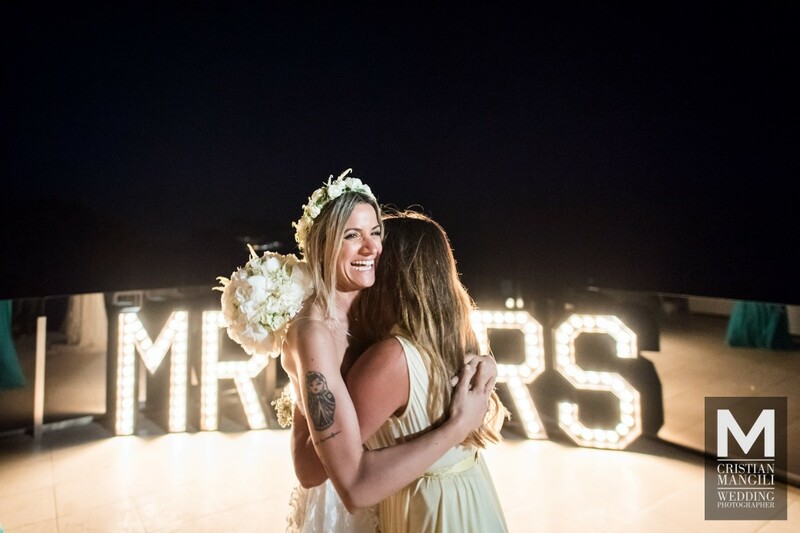 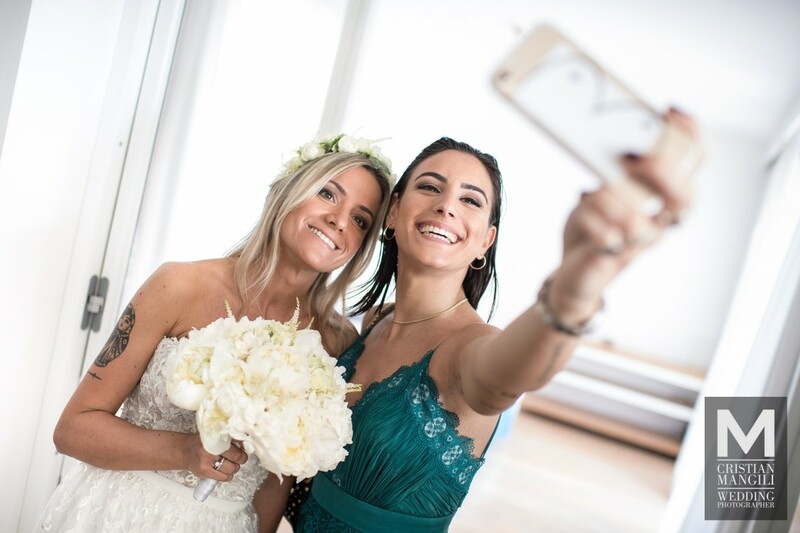 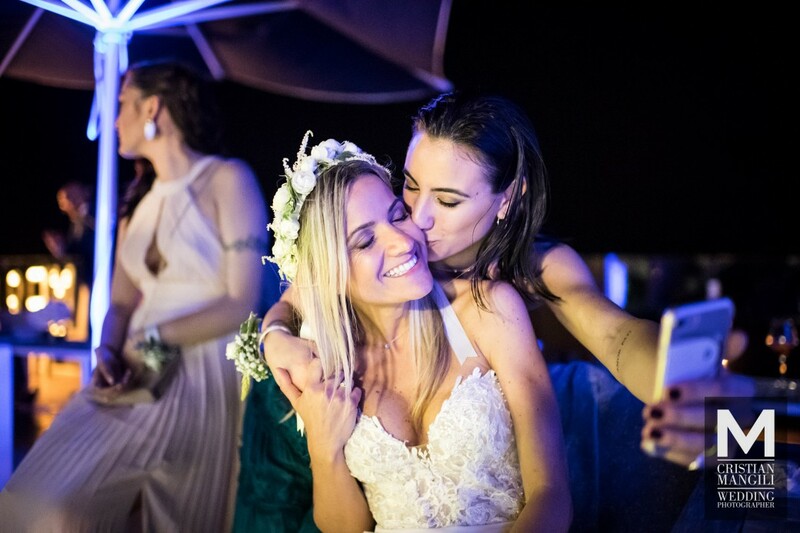 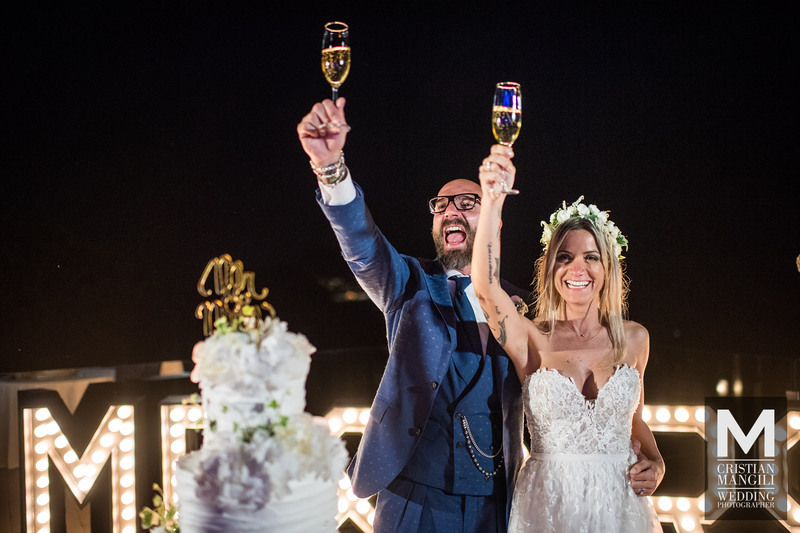 La giornata perfetta di Ilaria e Omar: un matrimonio “fuori porta” celebrato tra i capolavori naturalistici della costiera amalfitana. 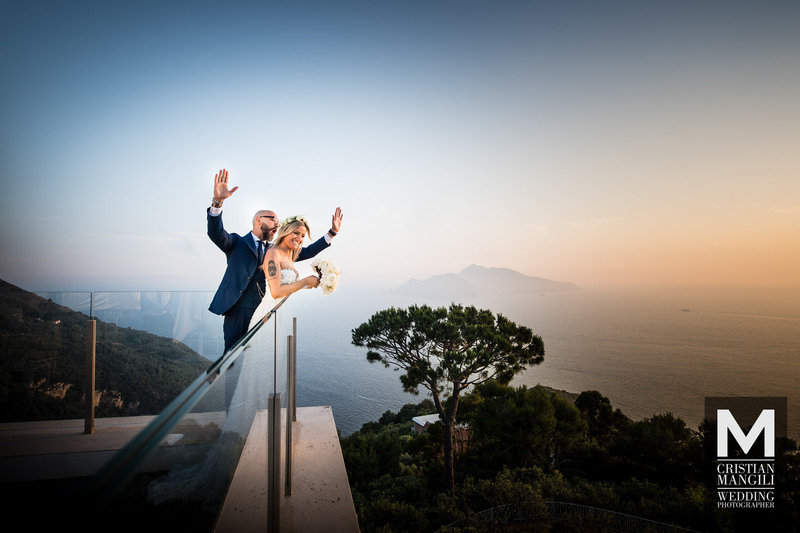 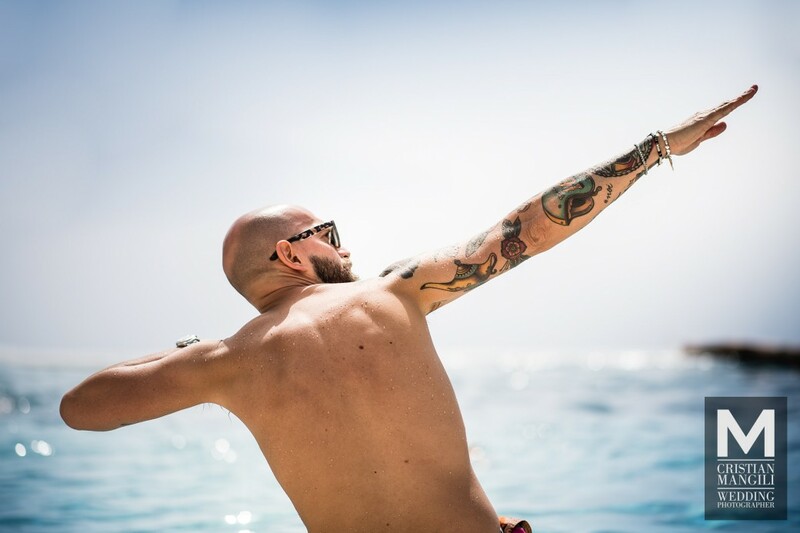 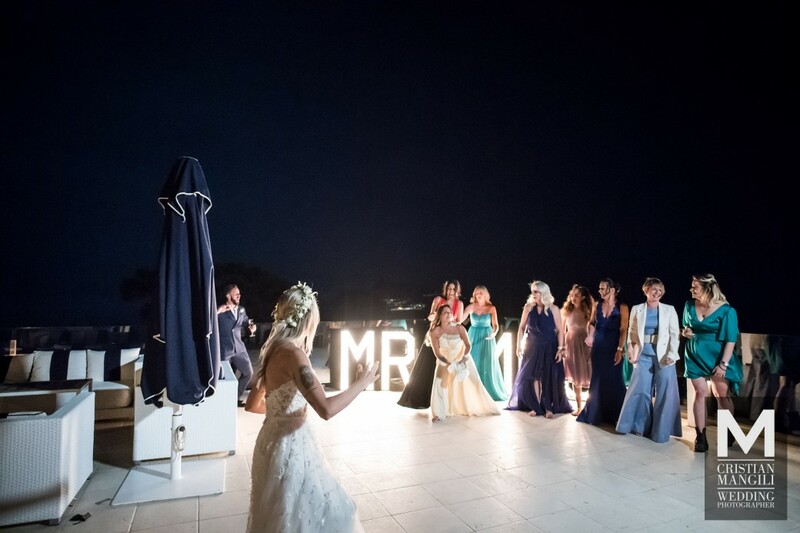 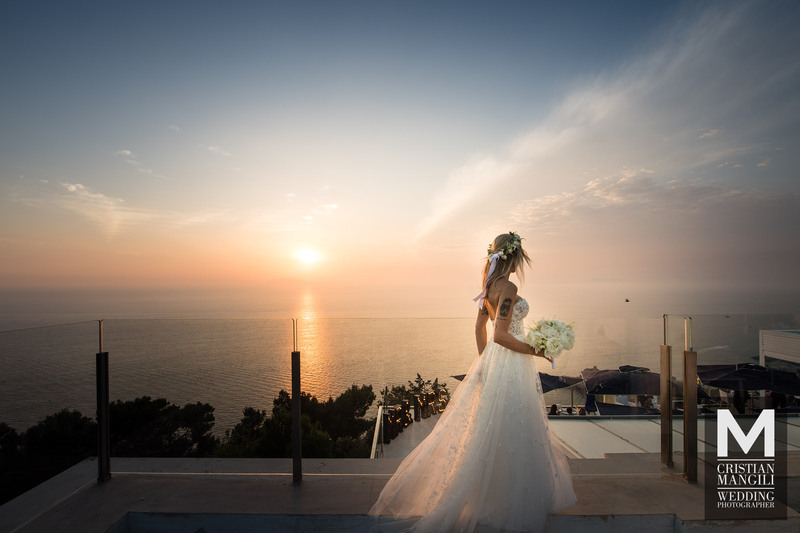 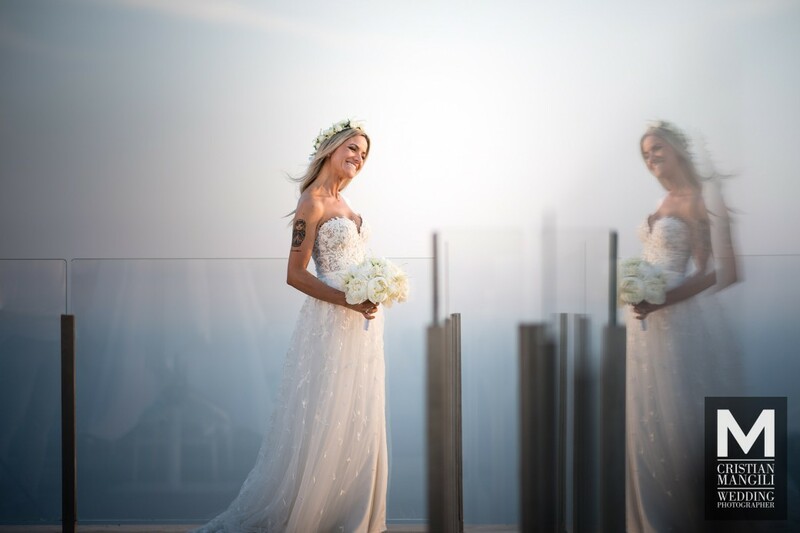 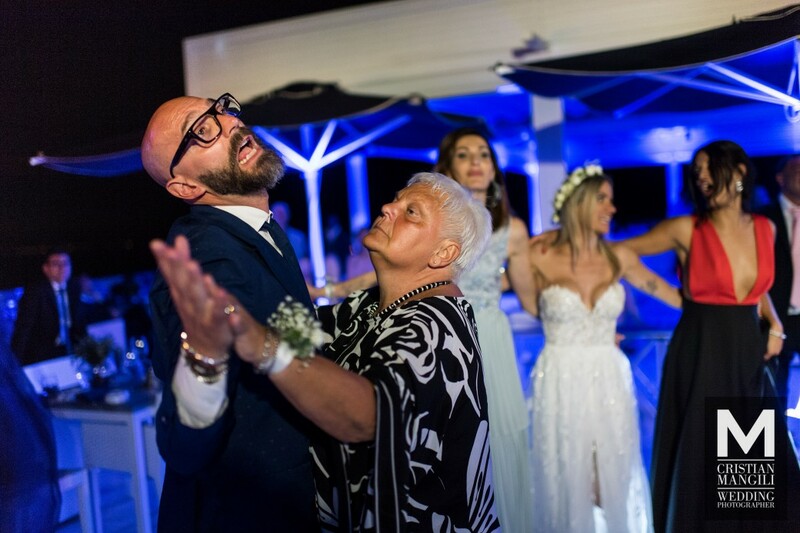 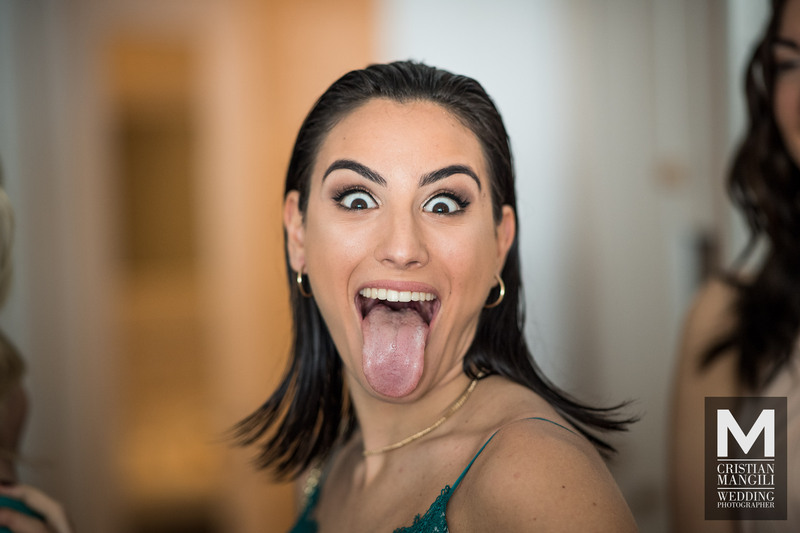 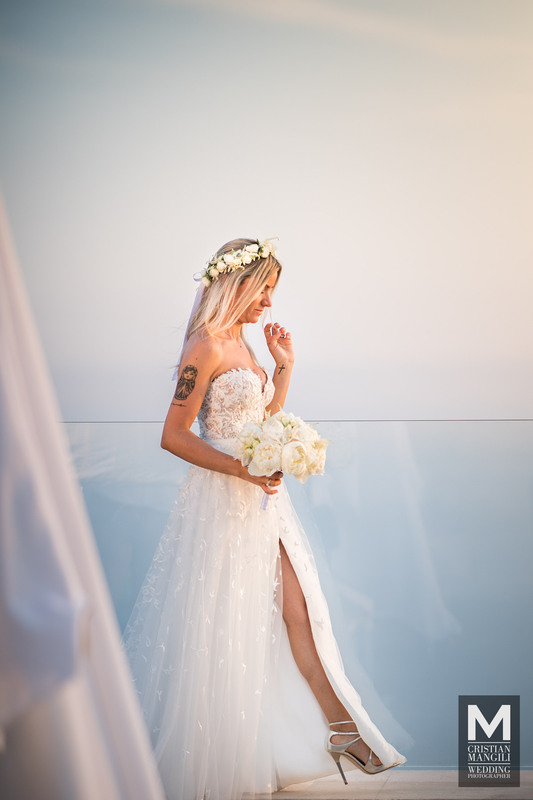 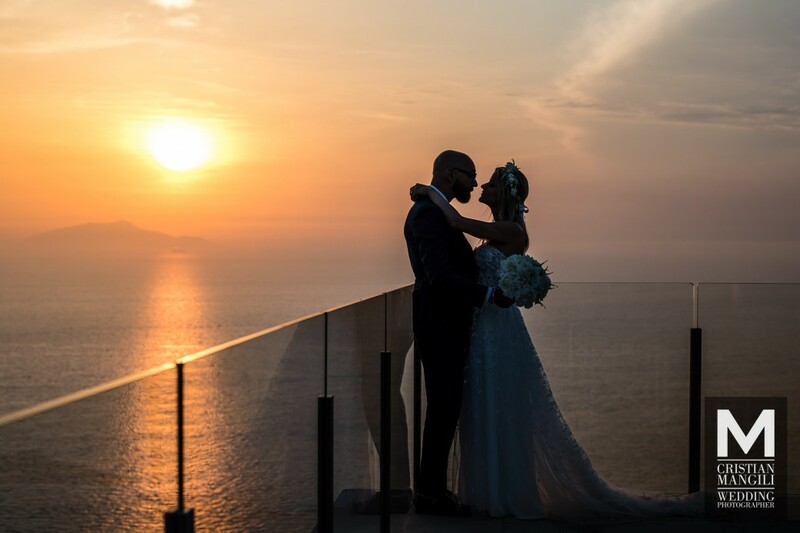 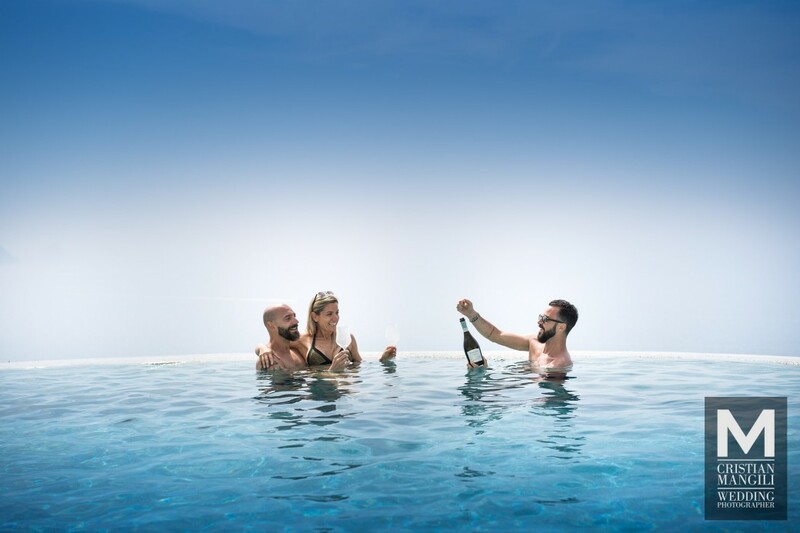 Il nostro shooting ha inizio nelle prime ore del pomeriggio di sabato, mentre Ilaria e Omar si godono il la vista di Capri immersi nella piscina a terrazzo del Relais Blu, la location da loro scelta per le nozze. La cerimonia civile è prevista per le 17.30: tutto è già pronto nell’intimo limoneto affacciato sul mare. 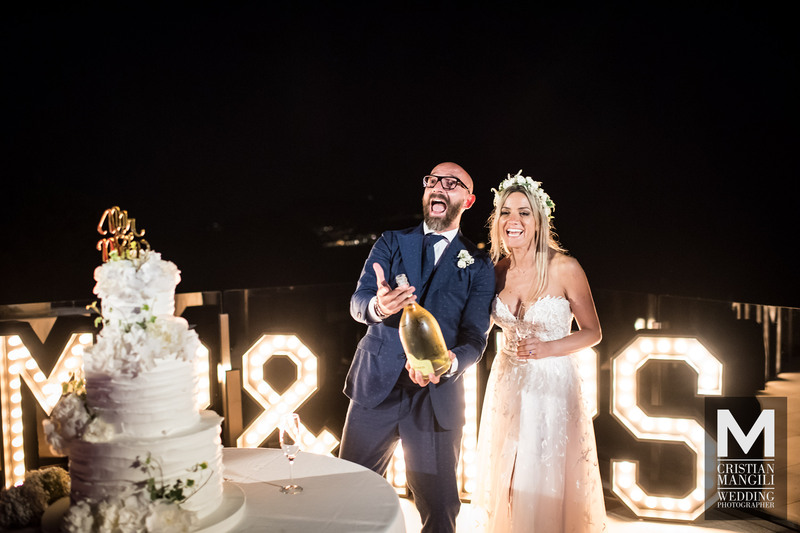 Sono lunghi i preparativi, ma valgono il tempo speso; Omar è incantato alla vista di Ilaria che lo raggiunge all’altare. 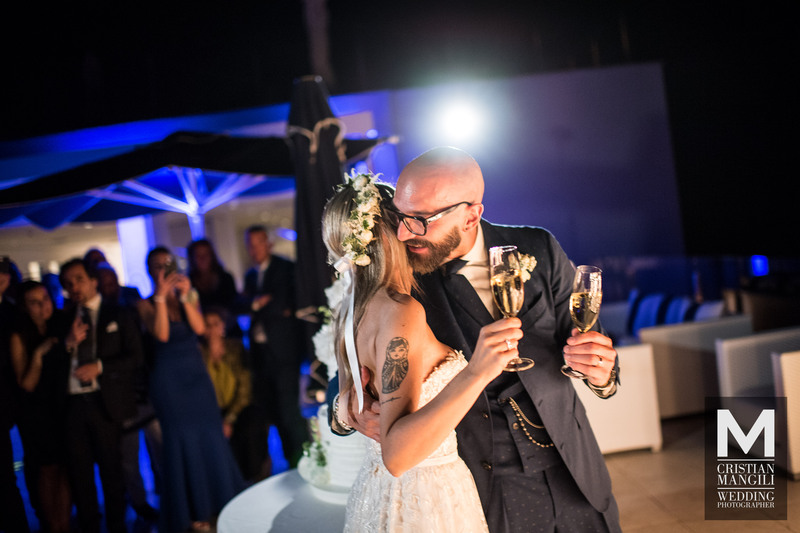 La cerimonia lascia spazio alle parole degli amici e dei parenti più stretti e l’emozione sale alle stelle… infine gli anelli sono scambiati e Ilaria e Omar sono Finalmente Moglie e Marito. 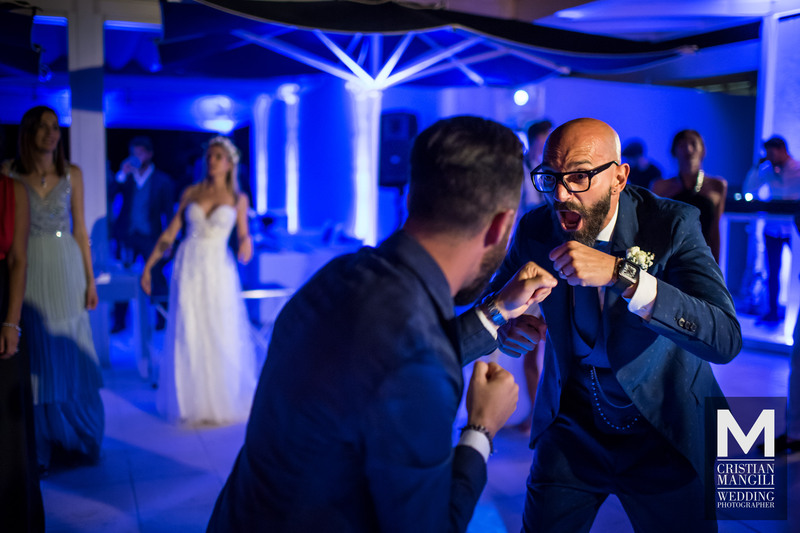 Li seguiamo mentre risalgono la gradinata che li porta al ricevimento: ad attenderli una festa che proseguirà fino a notte inoltrata. 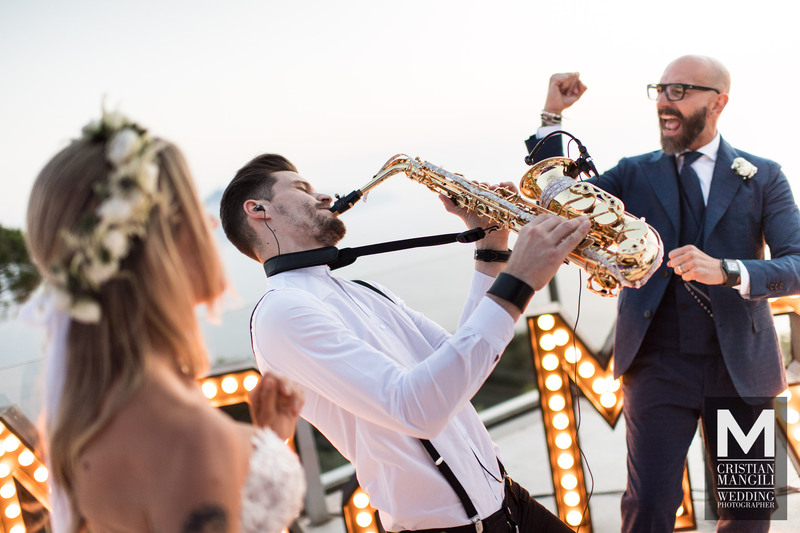 Si mangia, si beve e si balla in un’atmosfera magica, sulle note di capolavori dance abilmente suonati da un geniale saxofonista e da un impeccabile dj. 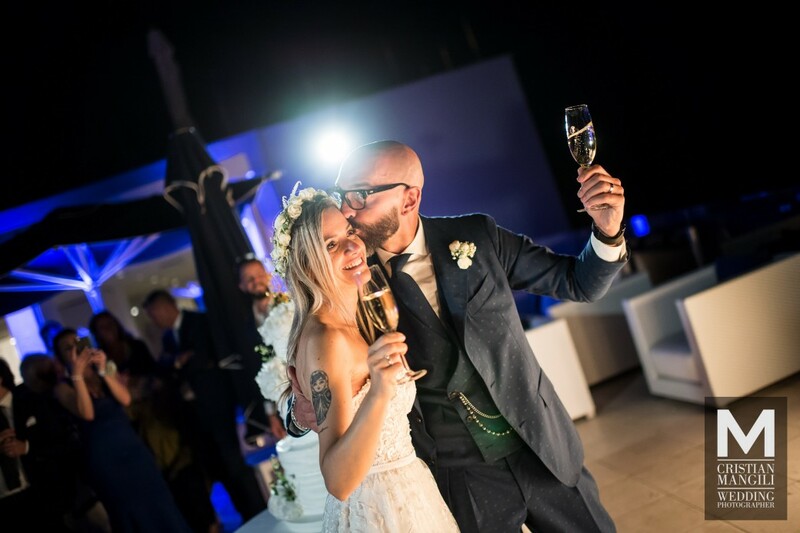  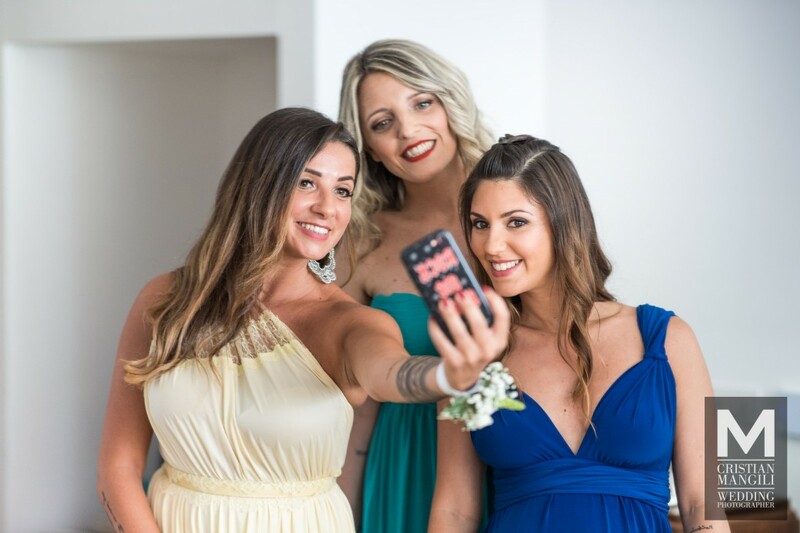 E’ scesa la notte, e chiudiamo la giornata col lancio del bouquet ed un sigaro gentilmente offerto. 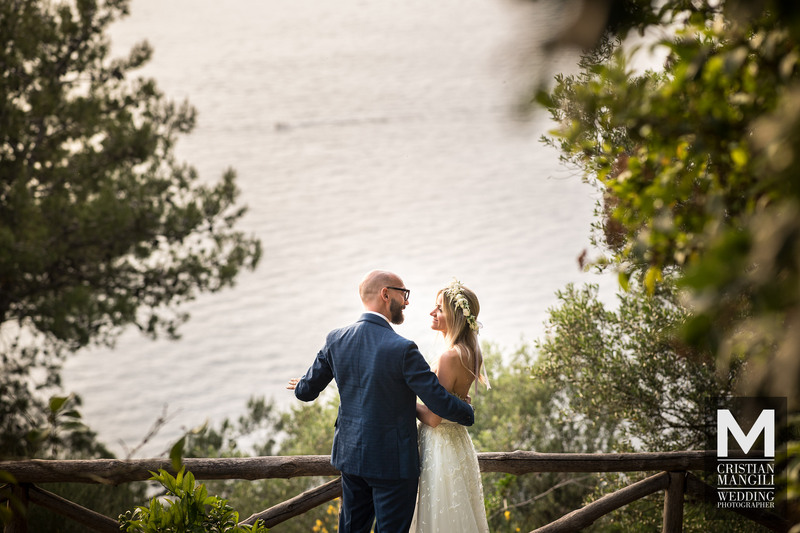 Un viaggio lungo che ci ha fatto percorrere quasi l’Italia intera, ma senza mai cedere un istante, motivati da quanto avremmo potuto e, speriamo, saputo fare.